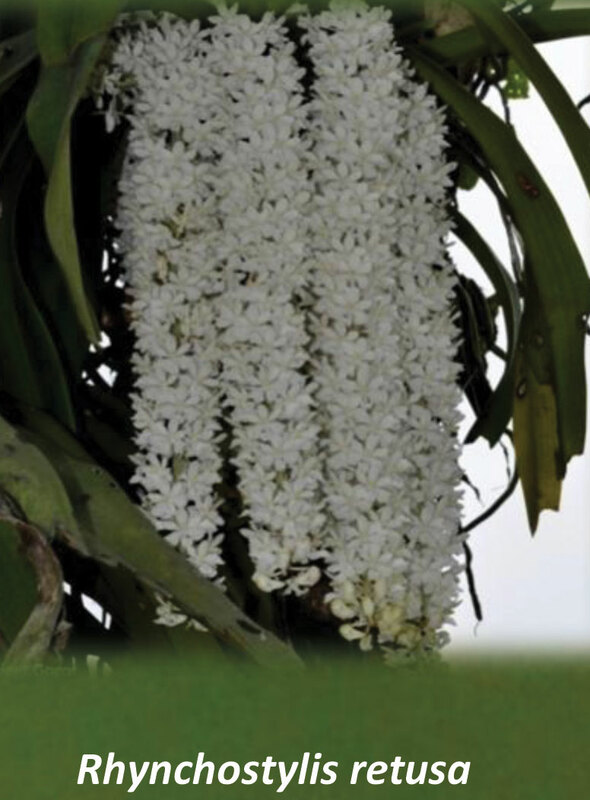 When the Kopou blooms, Khyanjeet Gogoi’s heart does a somersault, even today. 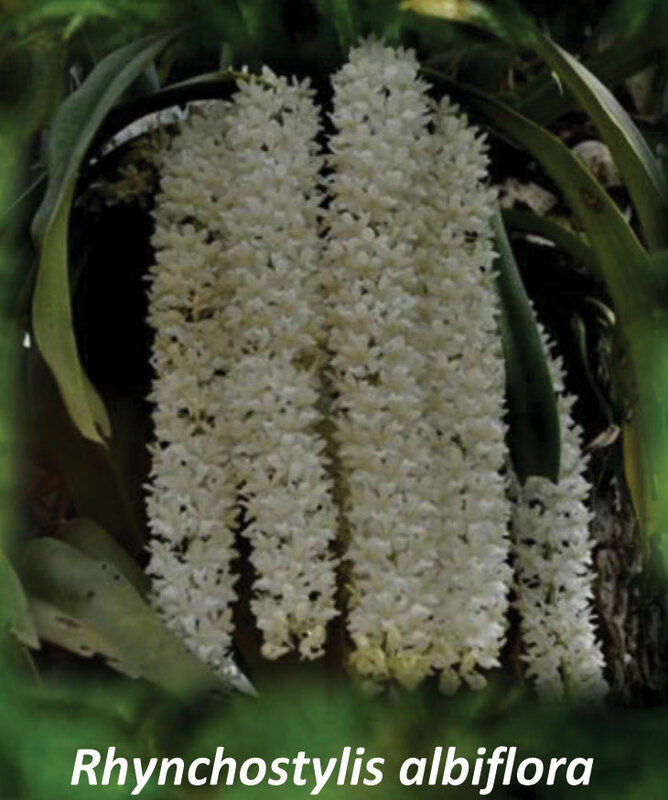 Kyanjeet was drawn to the Kopou which blooms in spring from his high school days. 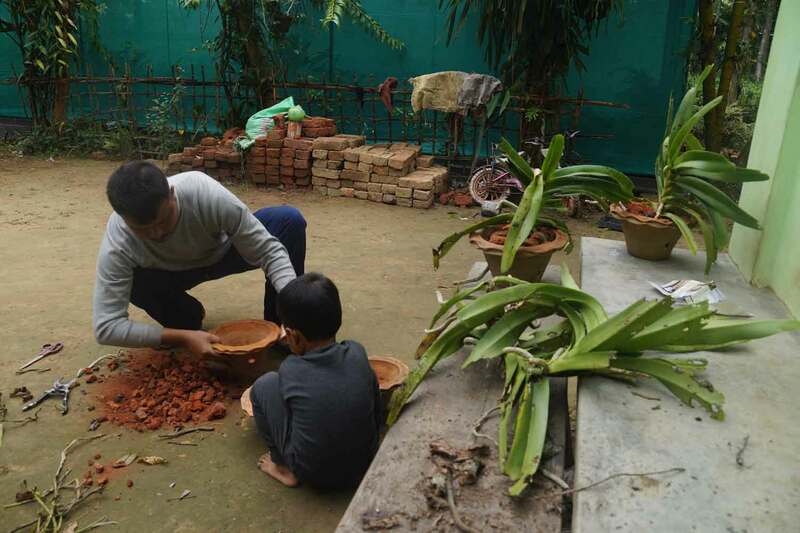 Even as the Bihu dancers in his Daisajan village in Talap, Tinsukia district swayed in tune to pepa and dhol, the young Khyanjeet’s eyes remain fixed on the Kopou phul swinging from their buns and yearned for them when later they lay abandoned by the roadside after the revelry was over. 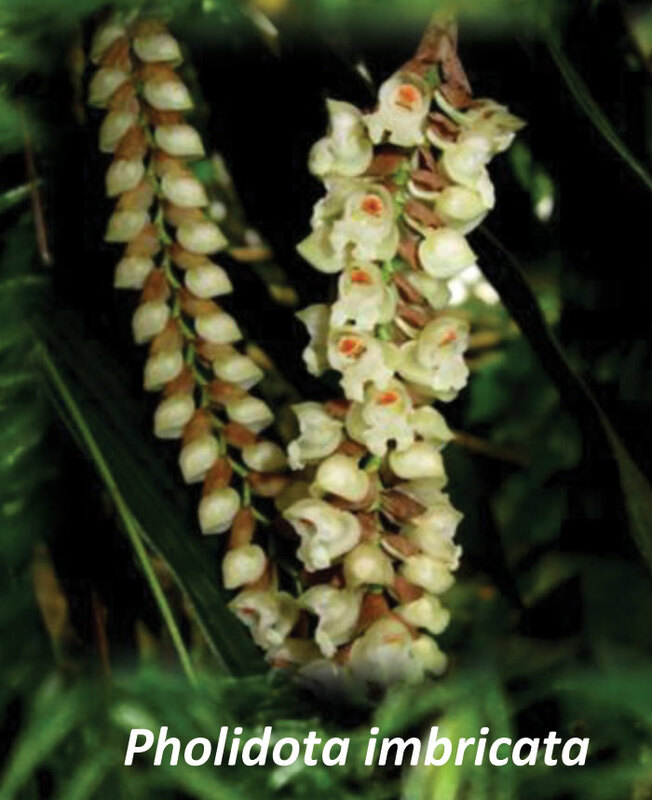 This attraction for the common Kopou transformed into a passion as Kyanjeet explored the exotic world of orchids as he grew older. 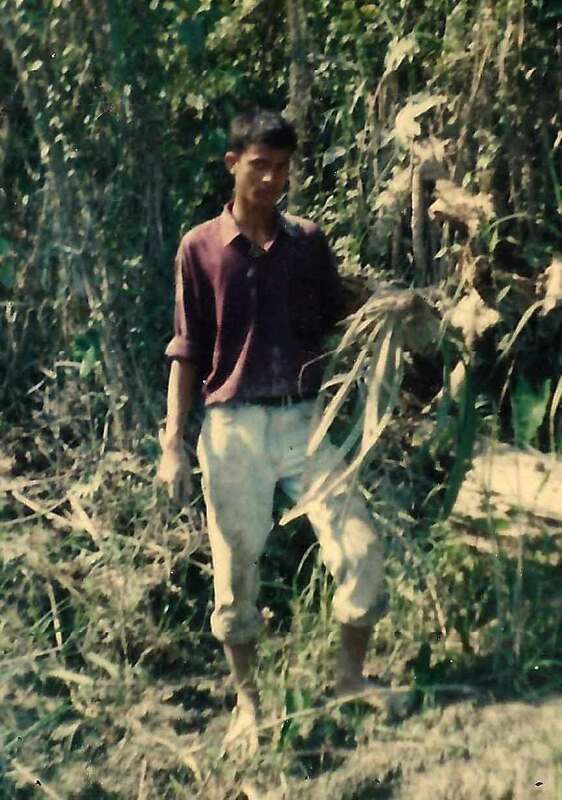 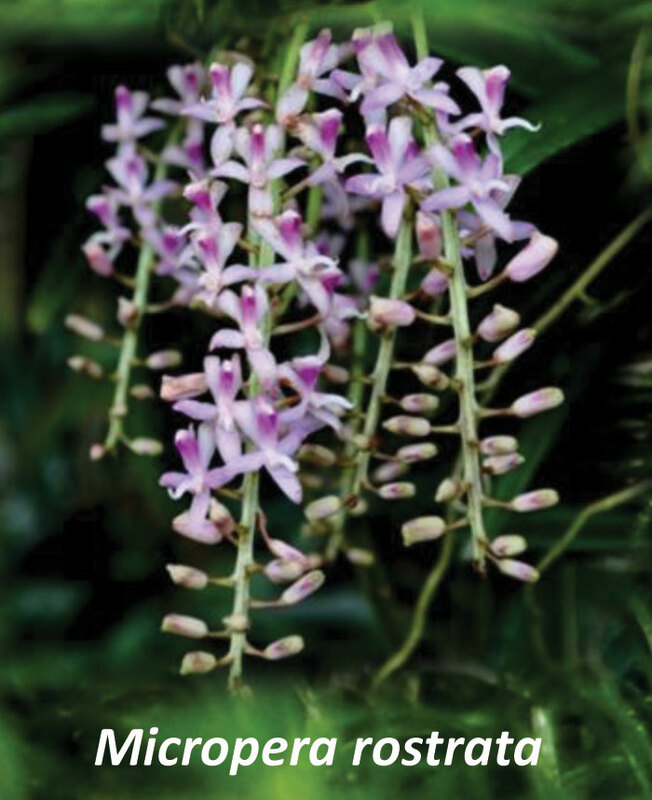 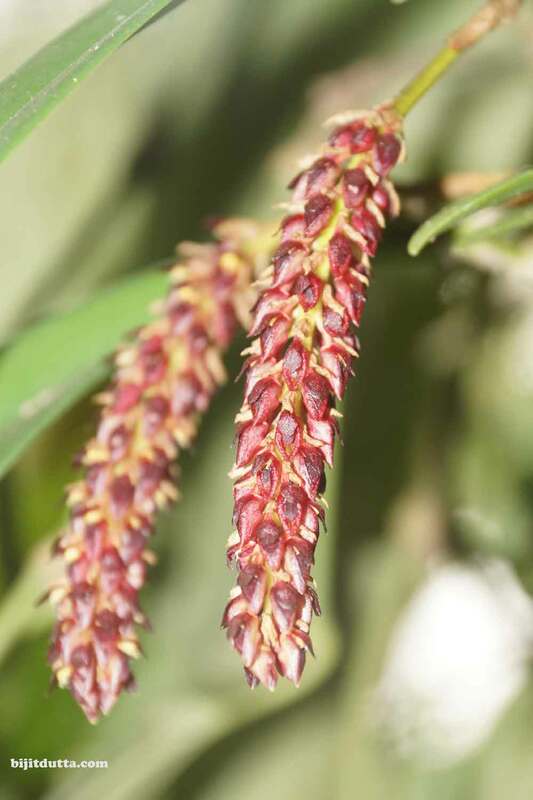 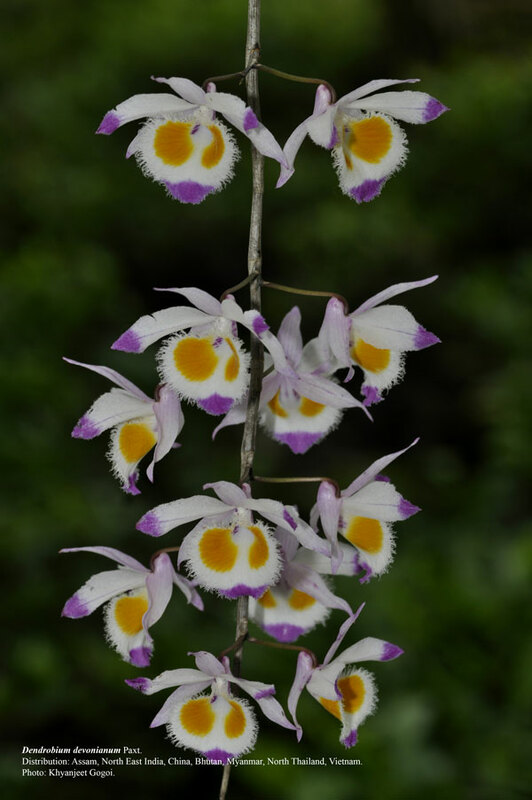 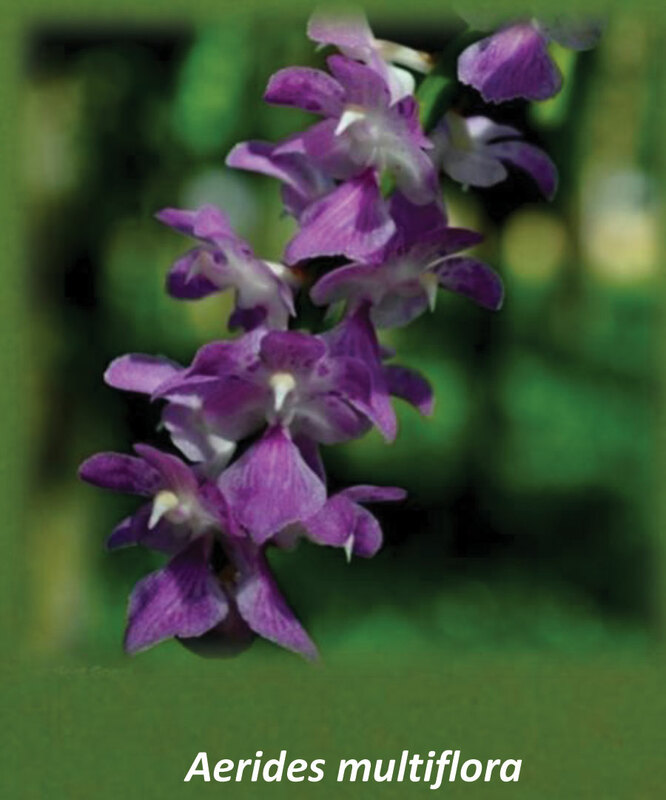 Khyanjeet, however, was unaware that the violet and pink Kopou was an Orchid- the foxtail orchid (Rhynchostylis retusa (L.) Blume) until 1999, when he met a teacher in Sivasagar (Jhanji), Lokaranjan Barua, who taught him a lot about orchids. 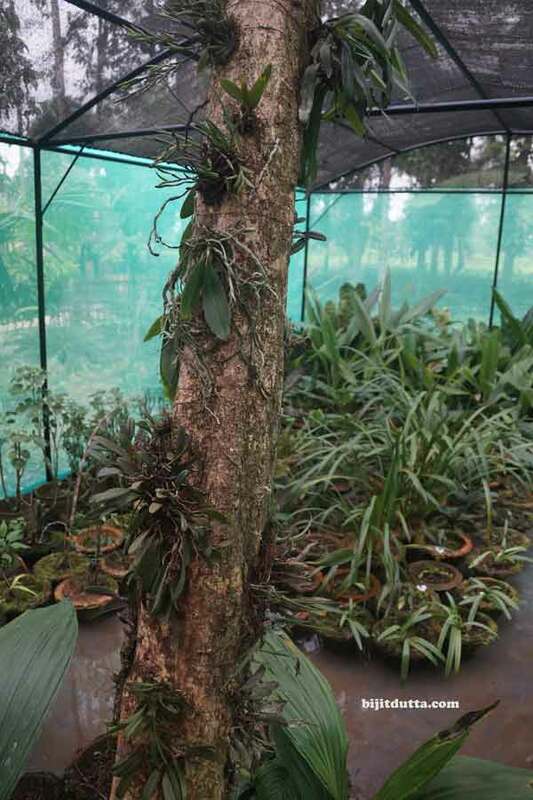 As part of an excursion team from his college to Bhalukpong, he had got the opportunity to meet AN Rao, a renowned orchidologist. 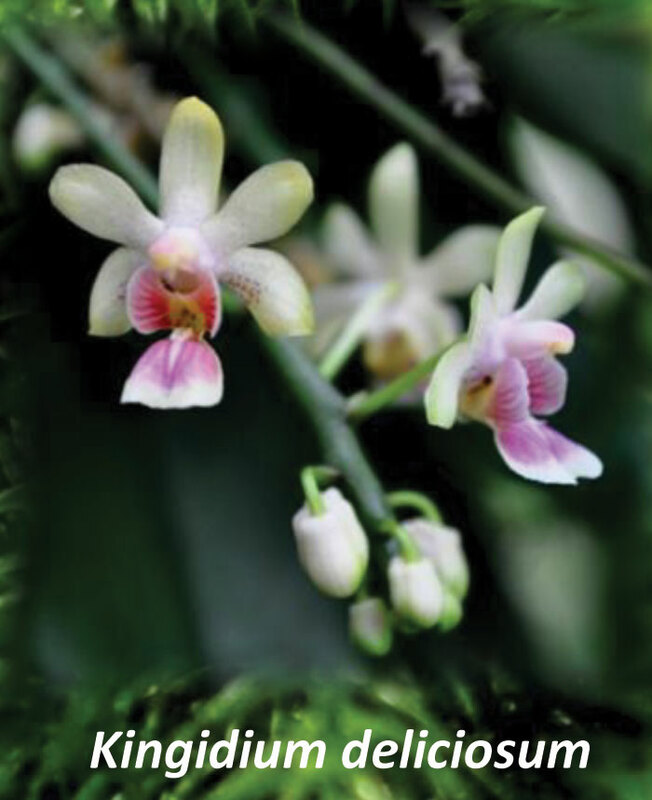 His love for orchids had only grown stronger by then and his real orchid journey had begun after taking his graduation in Botany as major subject. 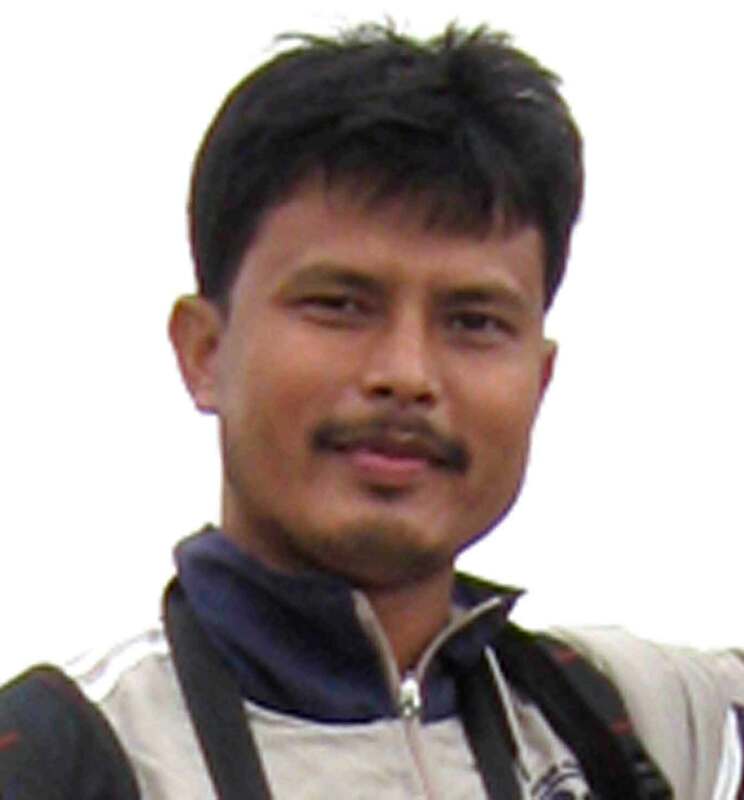 Khyanjeet Gogoi, science teacher( at Rupai High School), and orchid conservationist; owns a collection of 400+ species of orchids from northeast India; Life member of The Orchid Society of India and East Himalayan Society for Spermatophyte Taxonomy (Taxo Club) and the founder member of The Orchid Society of Eastern Himalaya (TOSEHIM), Kalimpong. 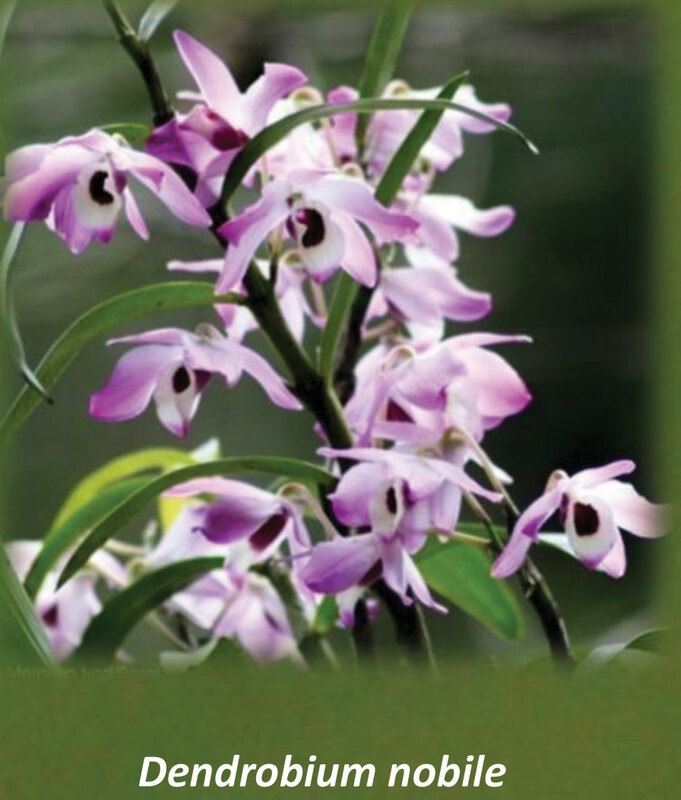 Over 80 publications in national & international research journals including two books and many new records from the region. 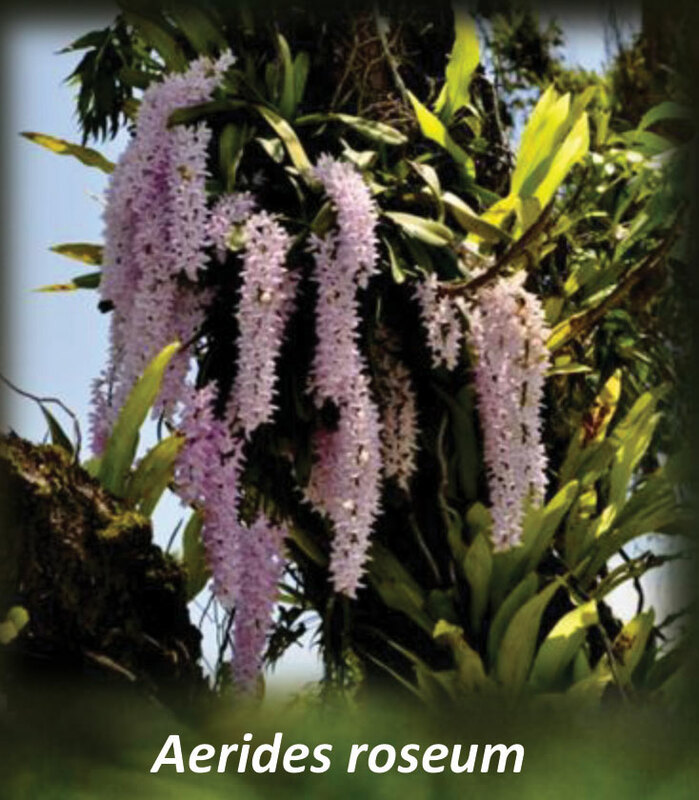 Assam Forest Department and Karbi Anglong Autonomous Council as Orchidologist in project “Documentation of Biodiversity of Karbi Anglong” . 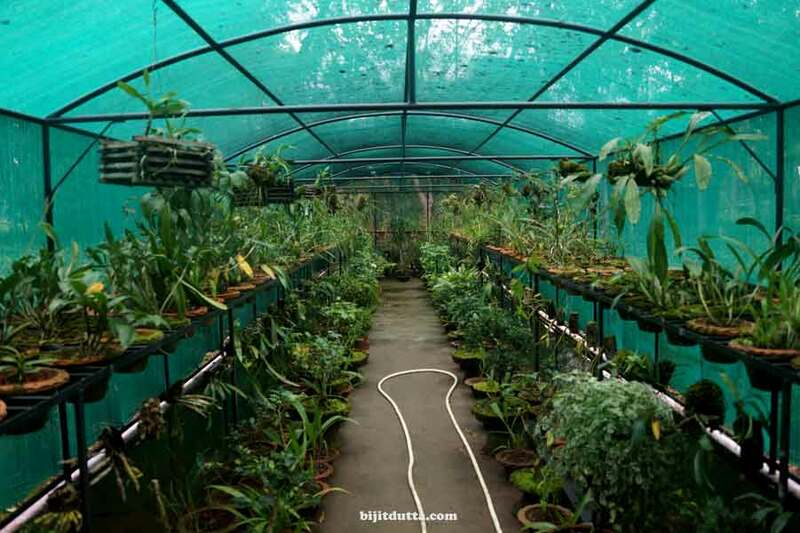 Assam Forest Department and Dibrugarh District Administration as Orchidologist in project “Biodiversity Documentation Programme, Jeypore Reserve Forest”. 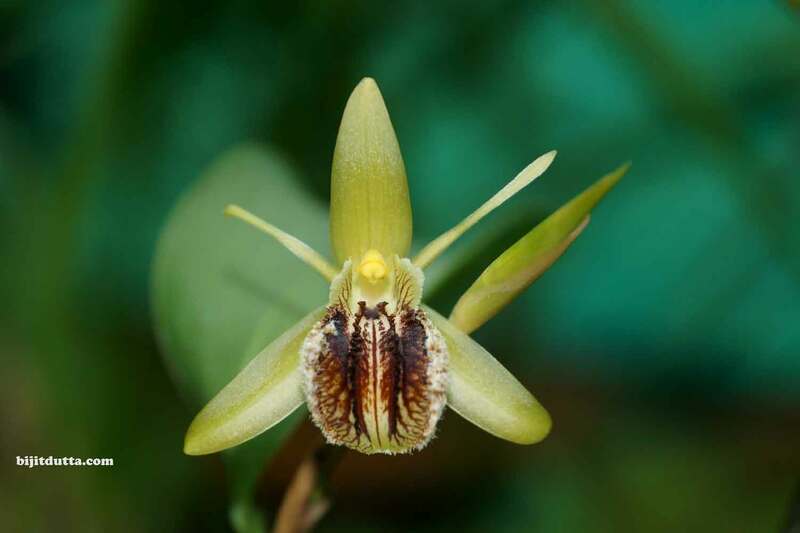 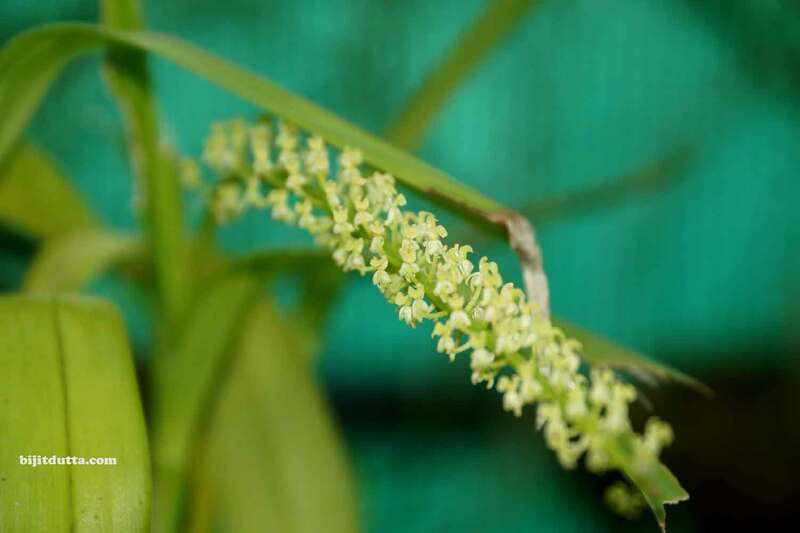 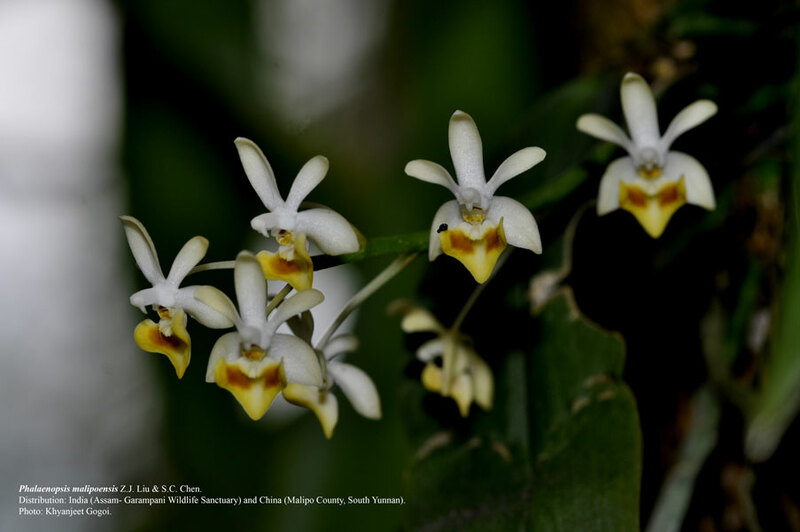 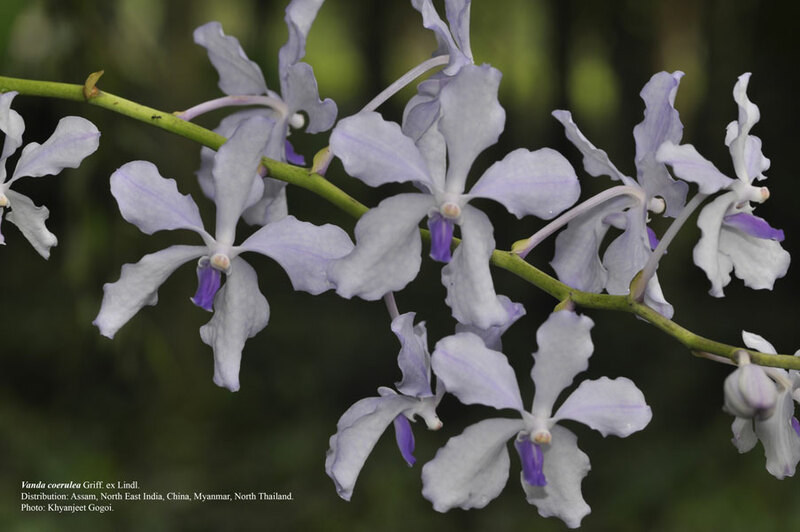 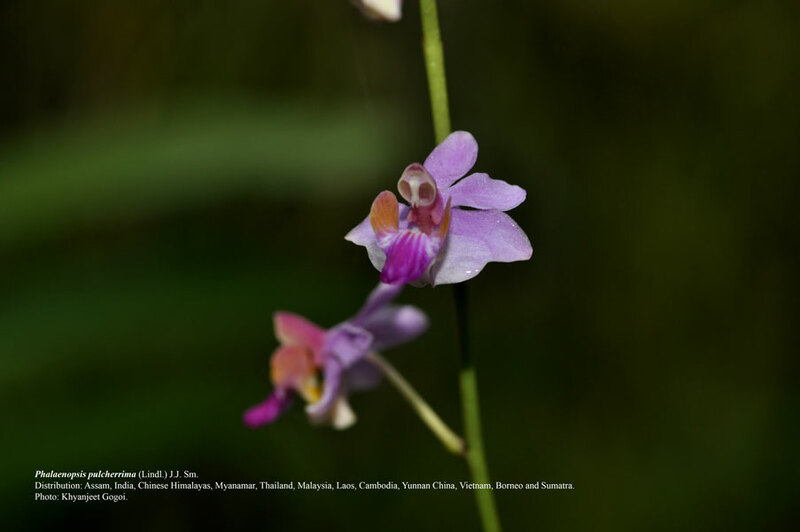 107 species of orchids covering 53 genera in Tinsukia District. 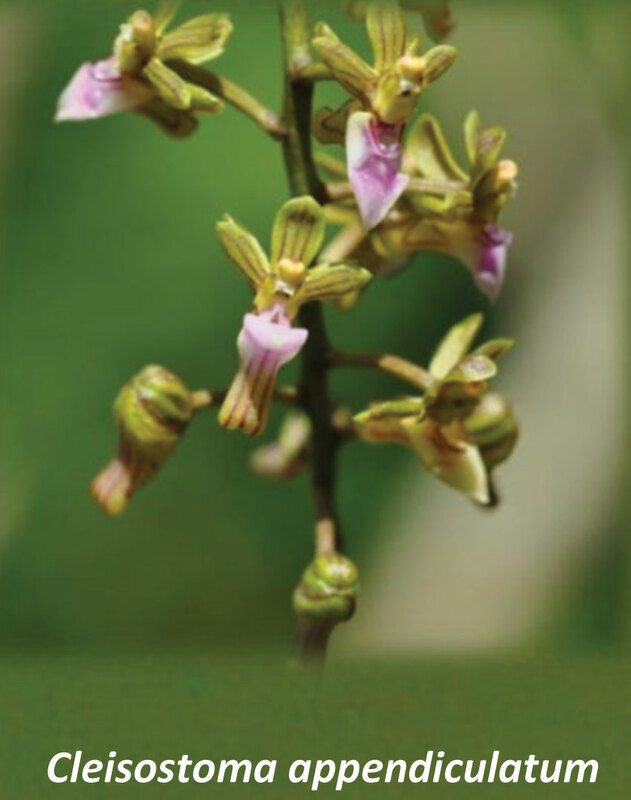 A total of 108 species of orchids within 49 genera have been recorded from Joypur Reserve Forest of Dibrugarh District. 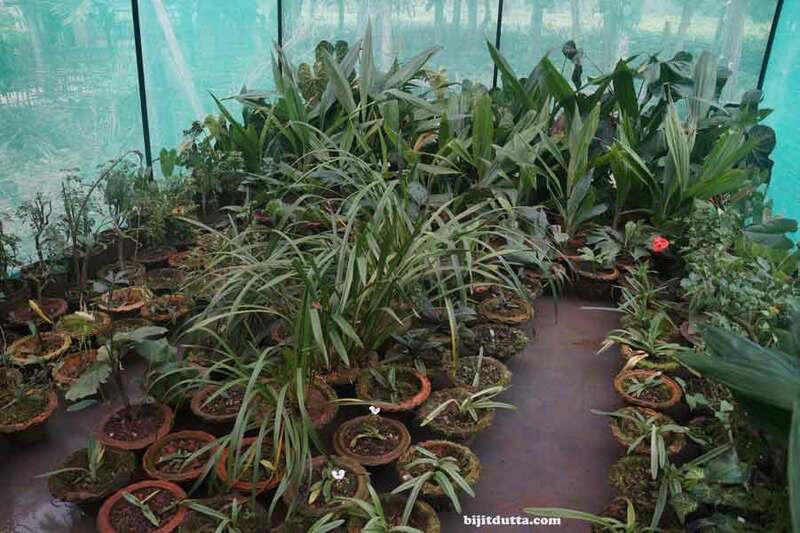 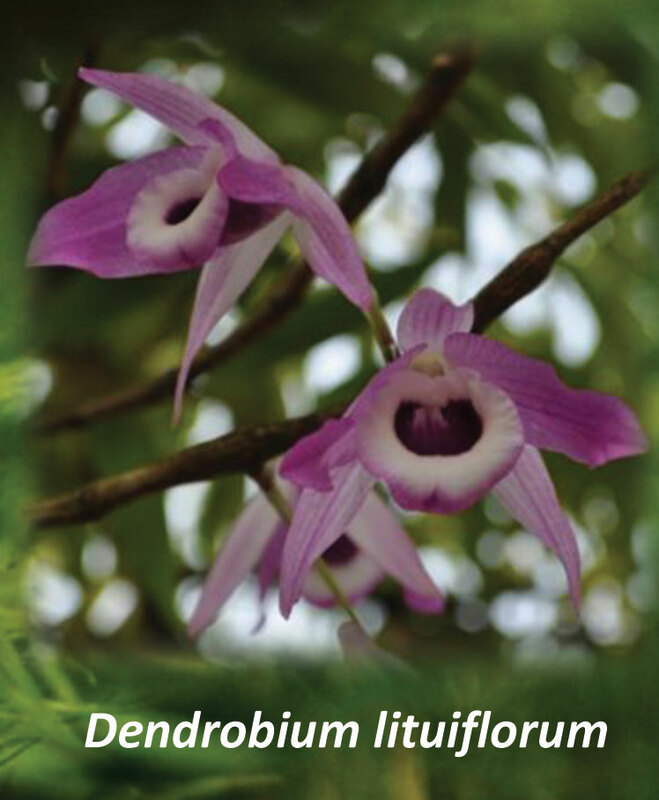 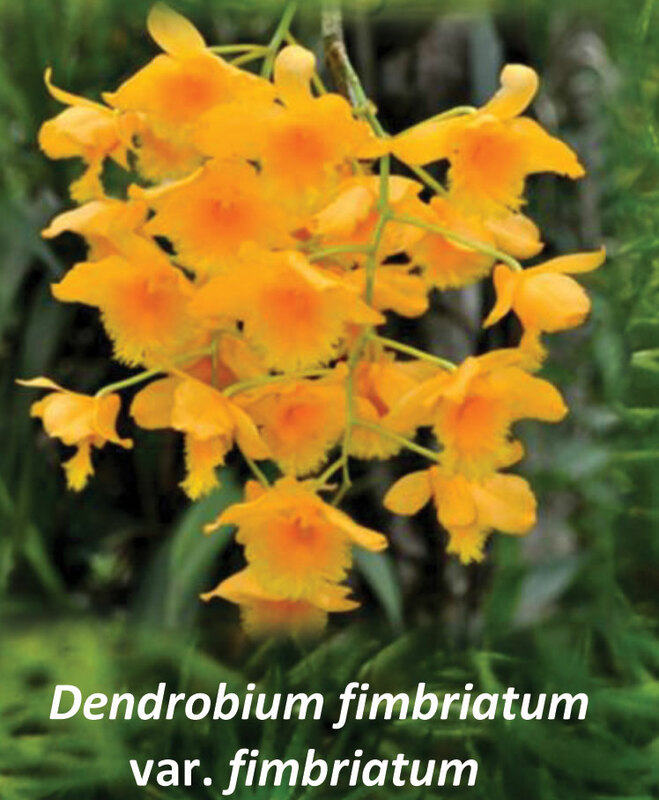 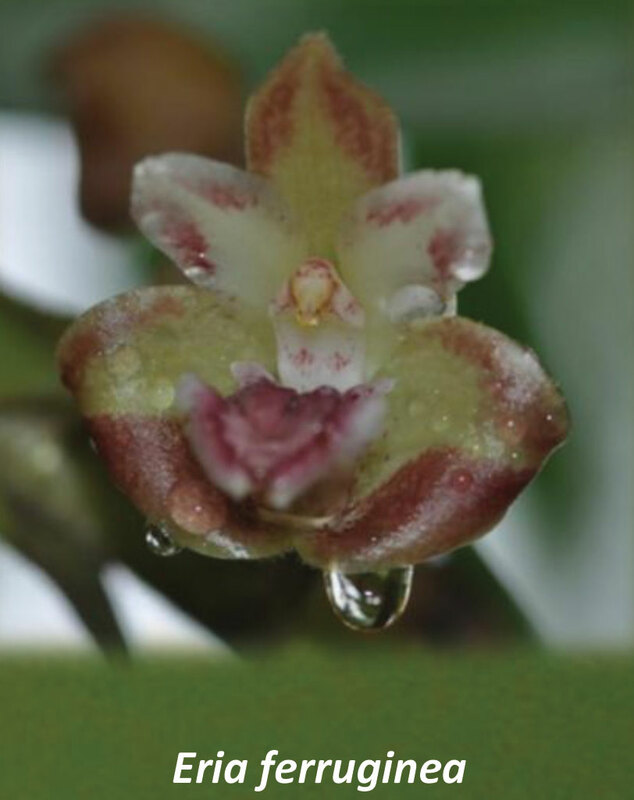 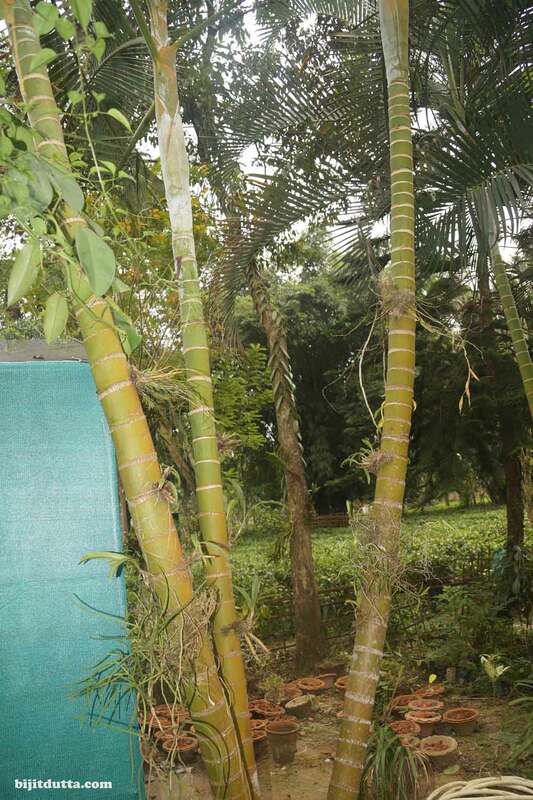 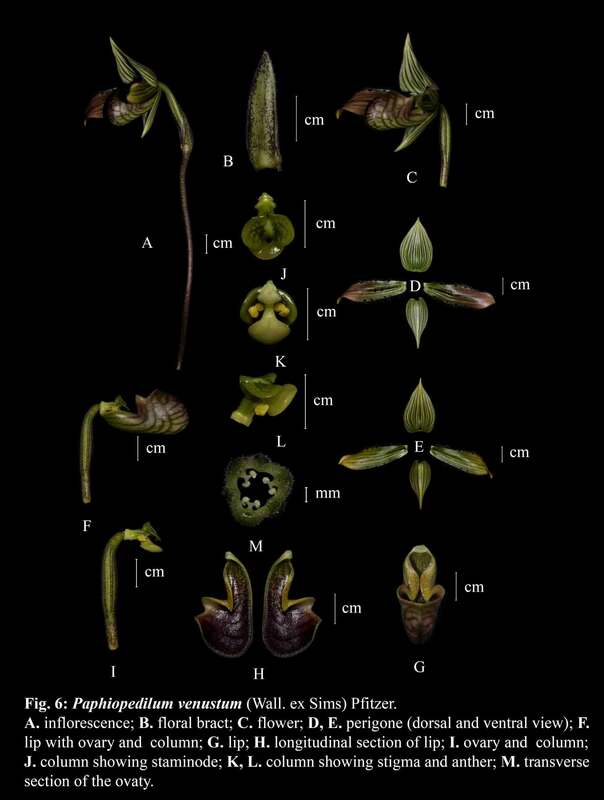 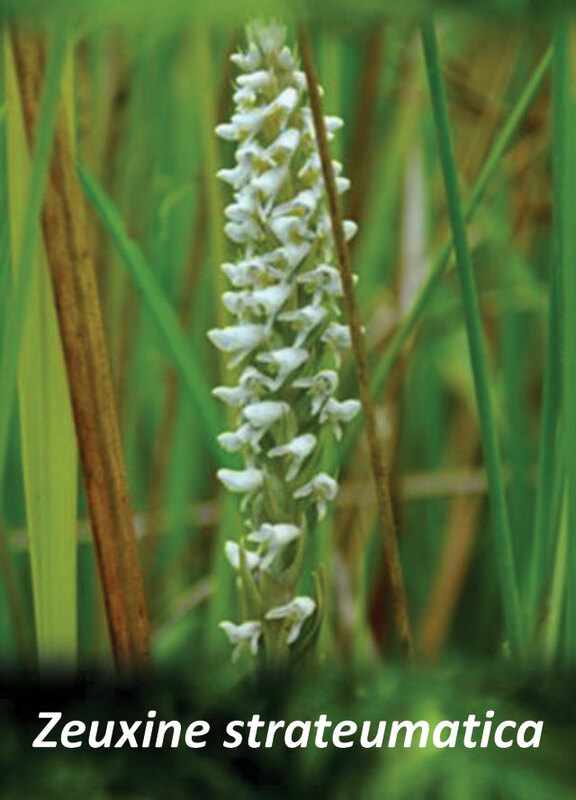 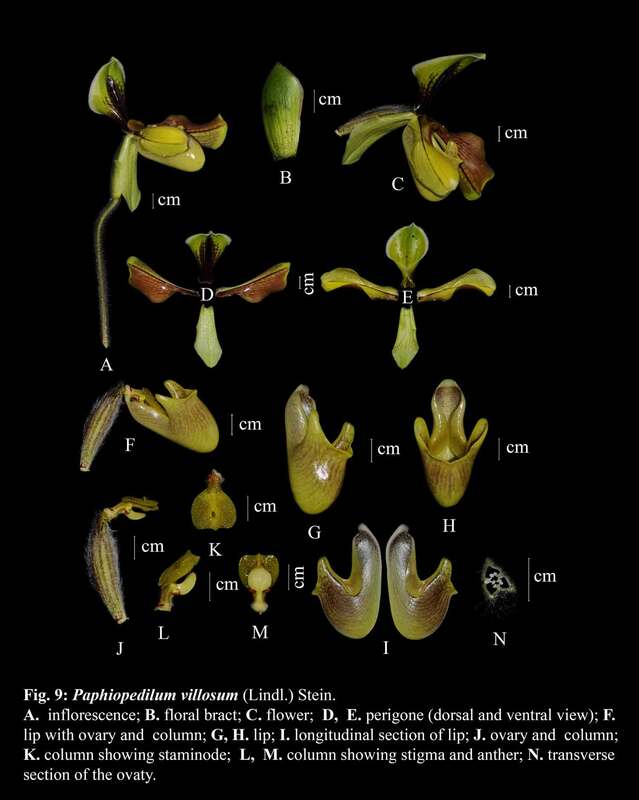 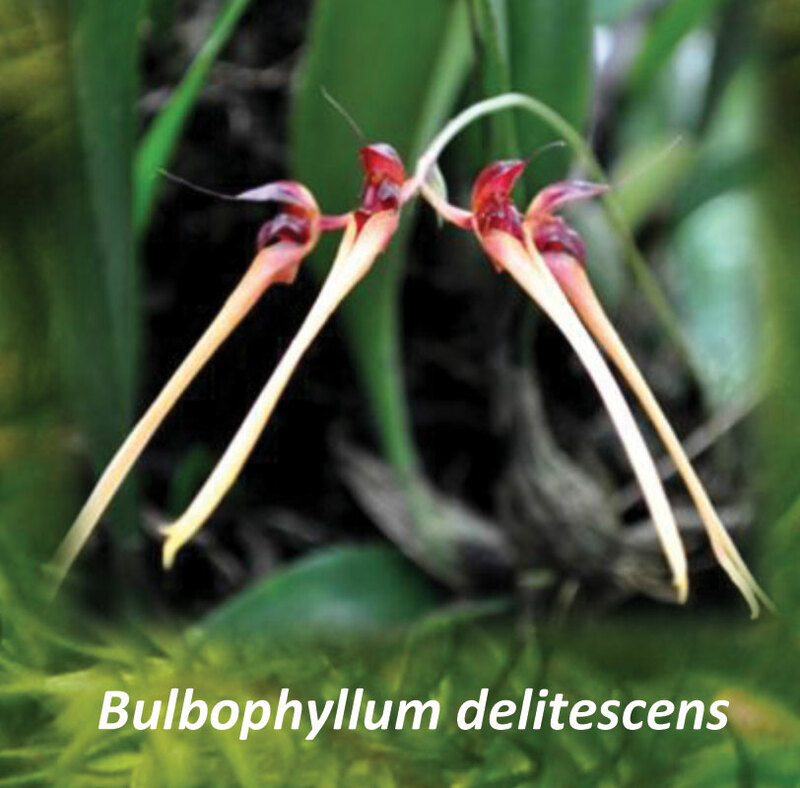 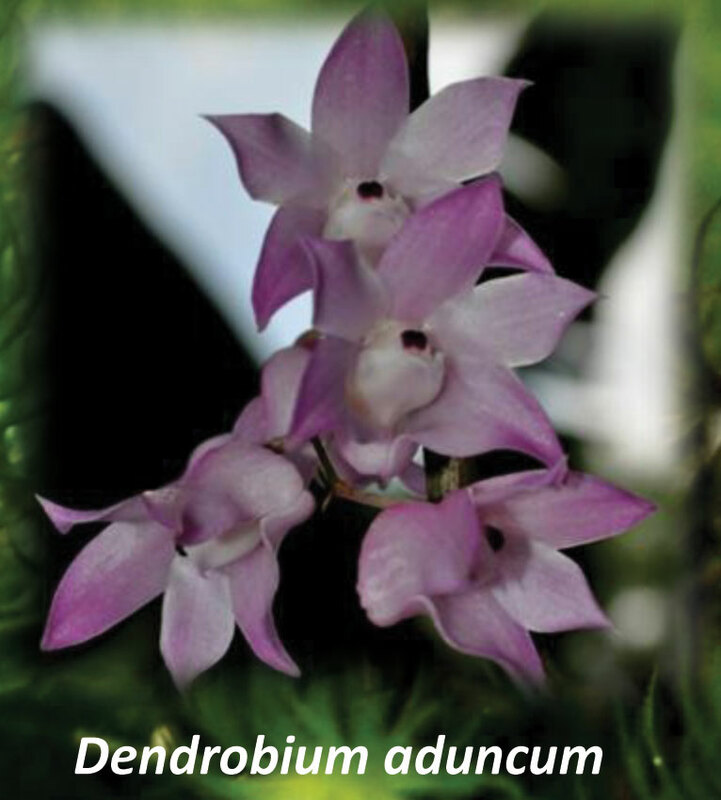 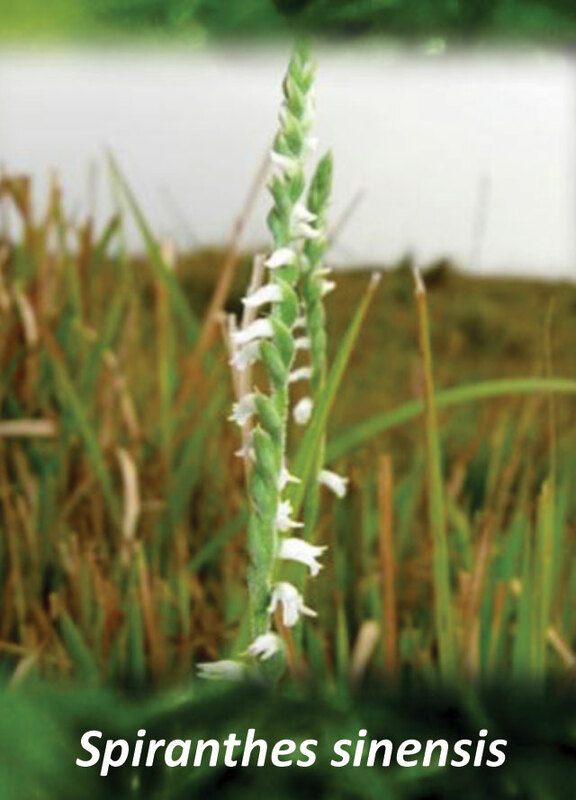 A total of 113 Orchid species under 50 genera have been recorded from the Dibrugarh District. 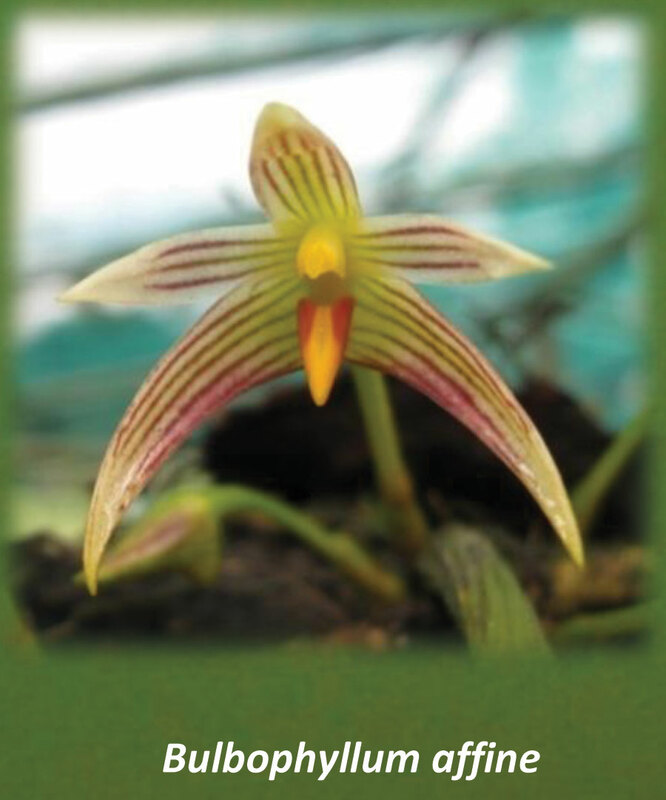 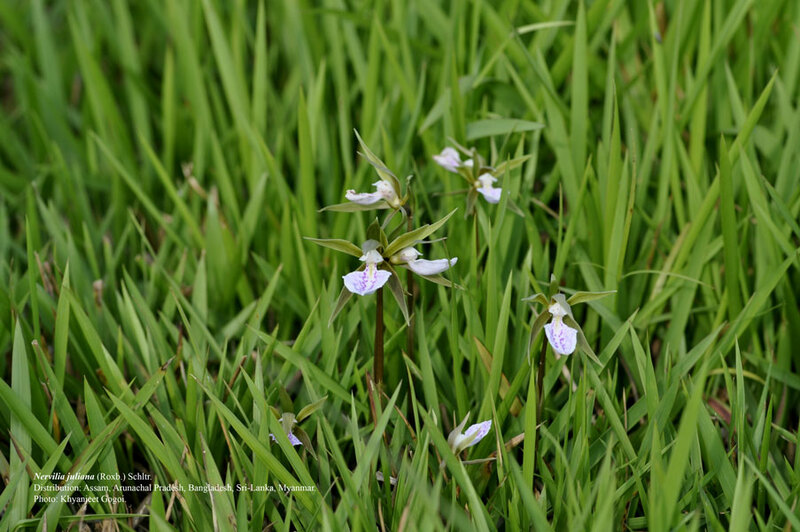 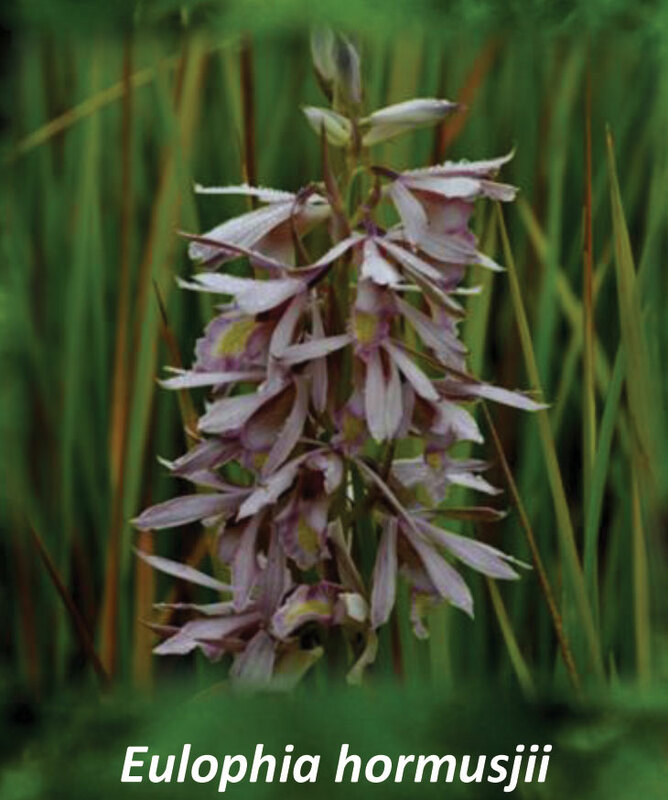 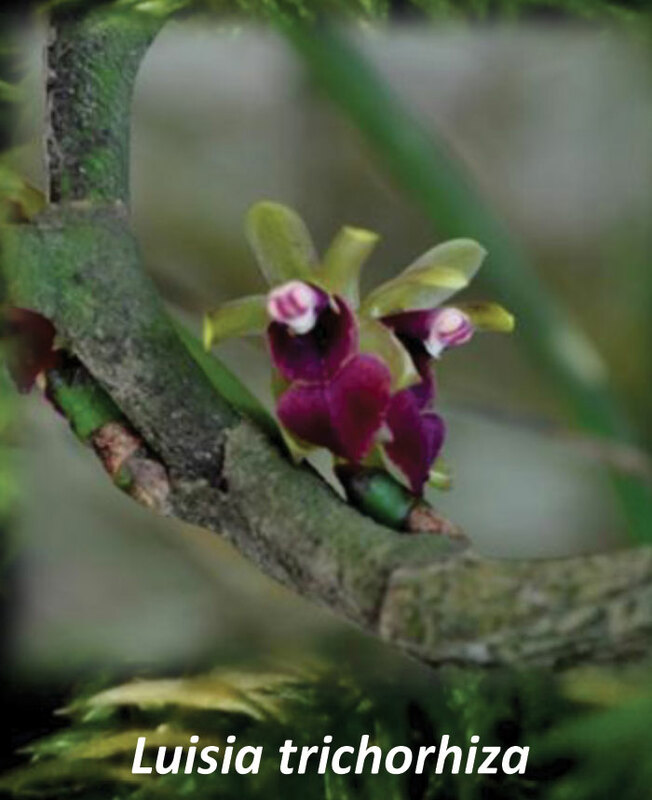 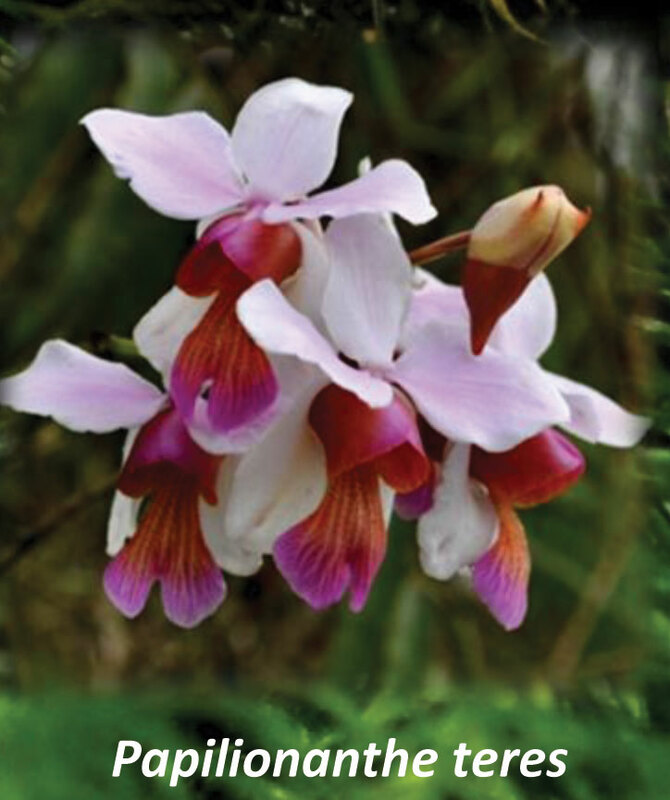 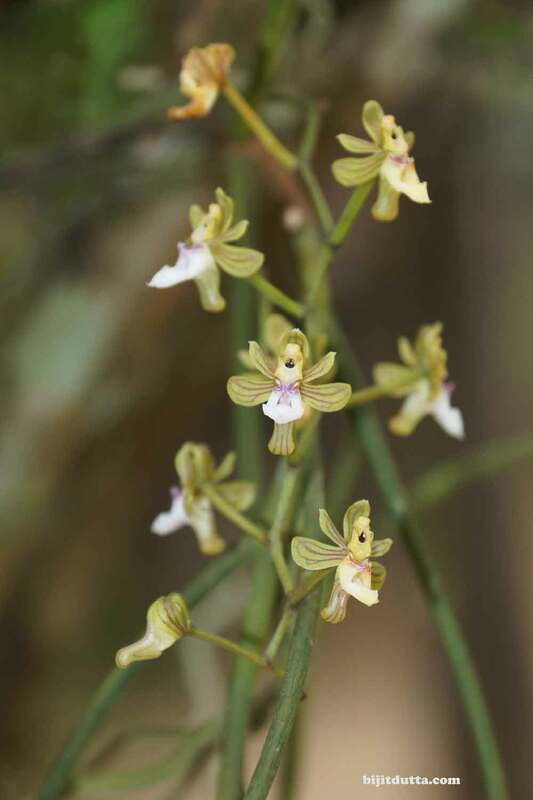 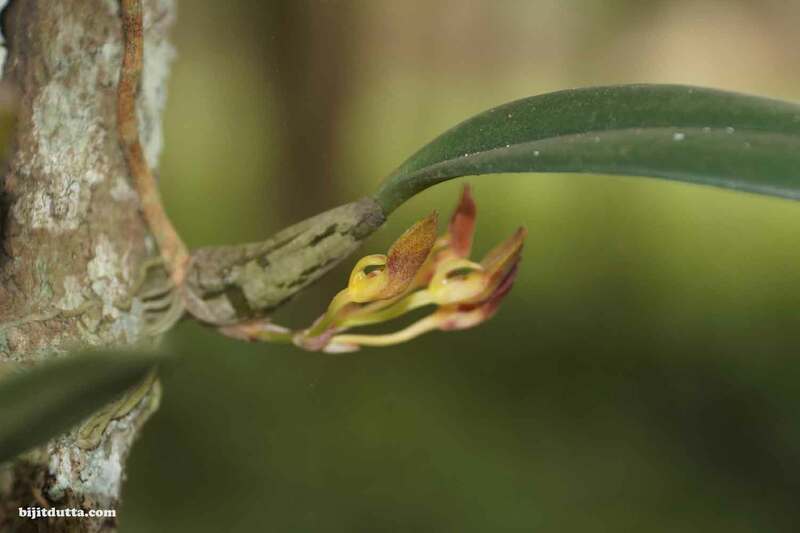 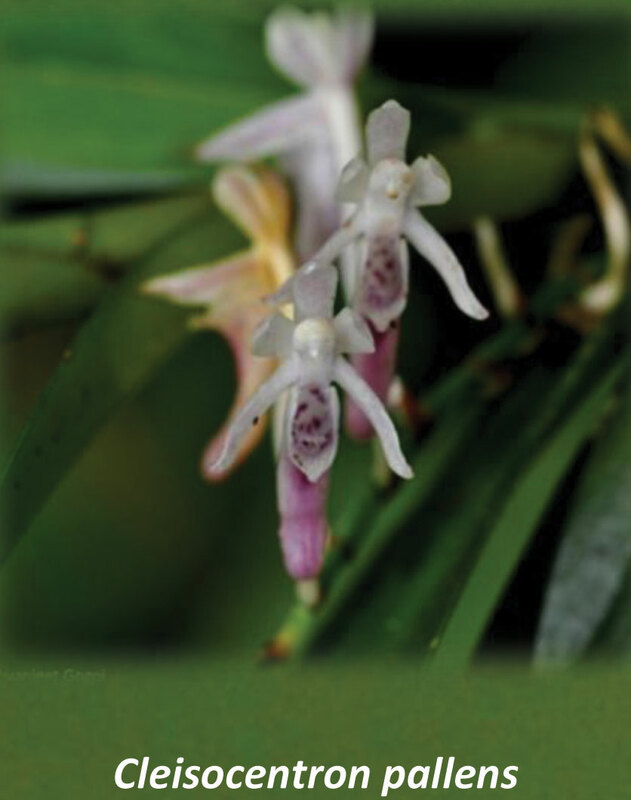 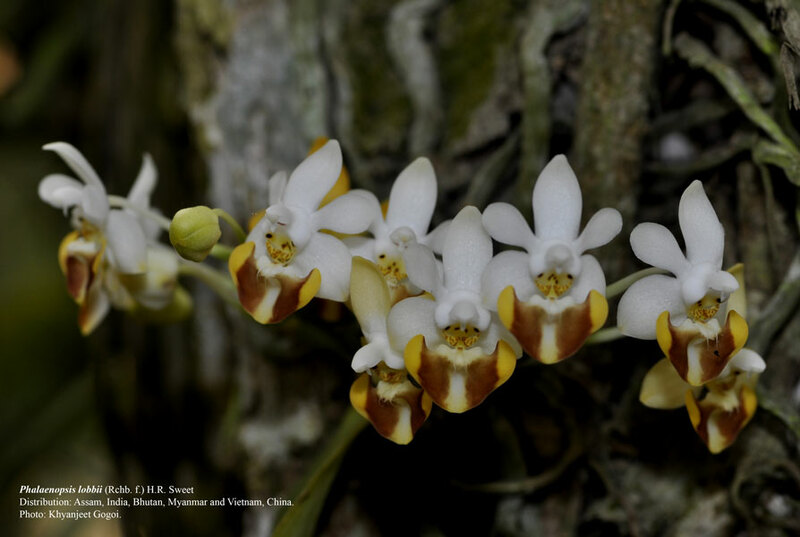 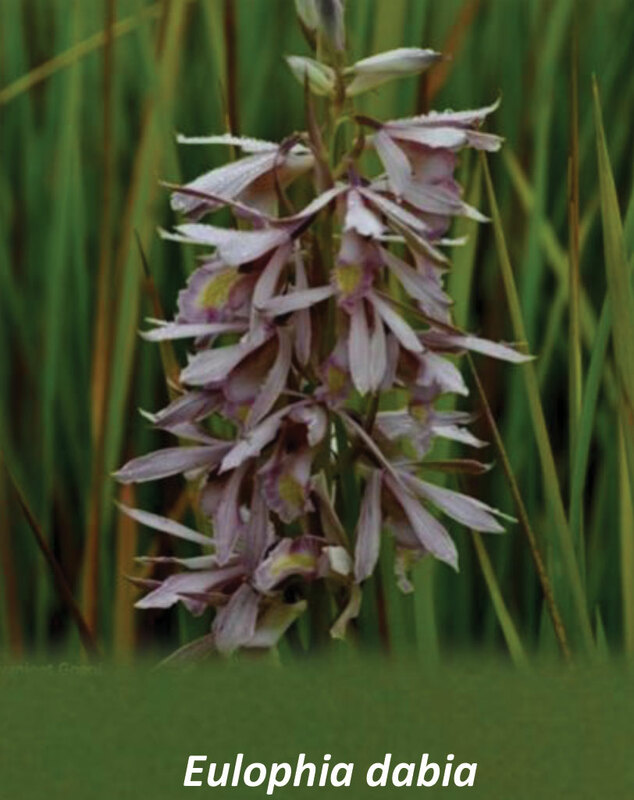 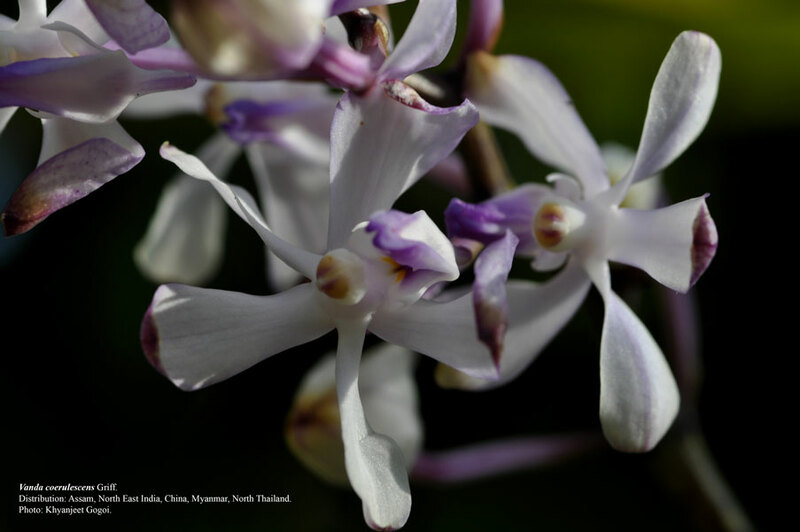 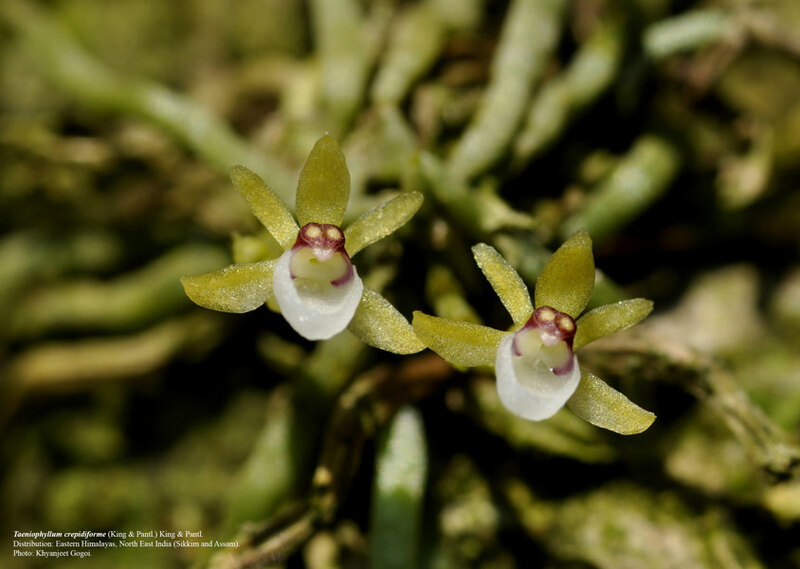 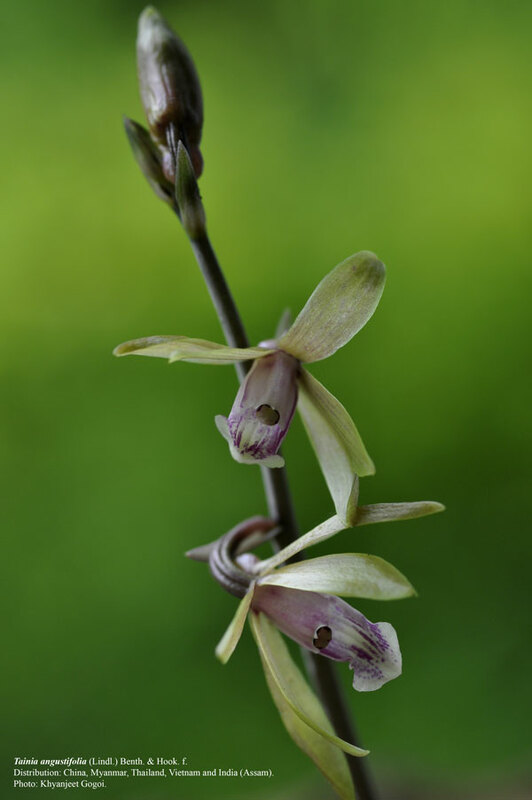 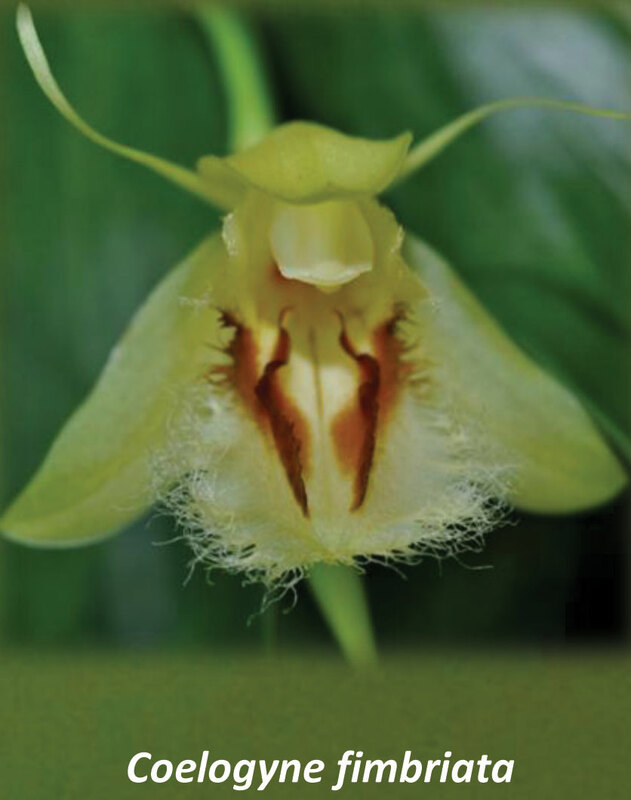 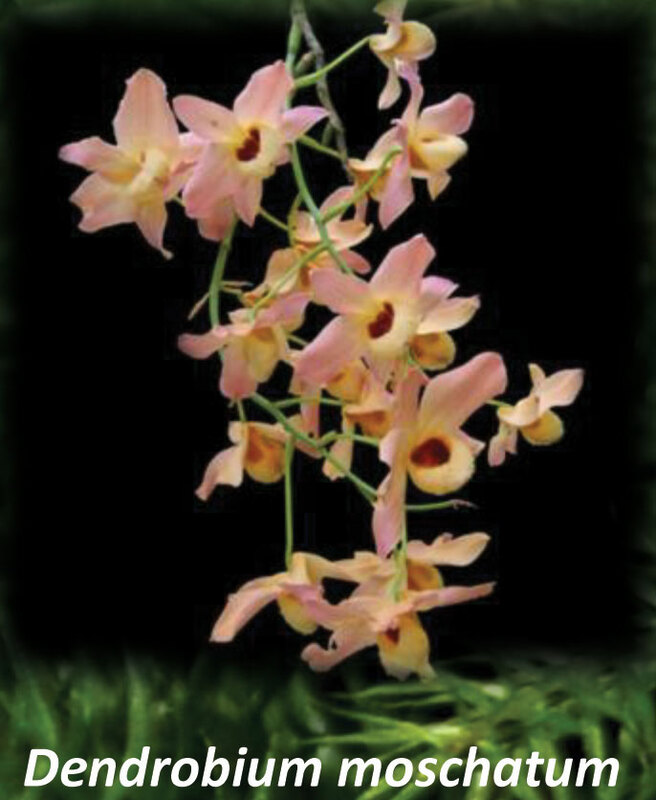 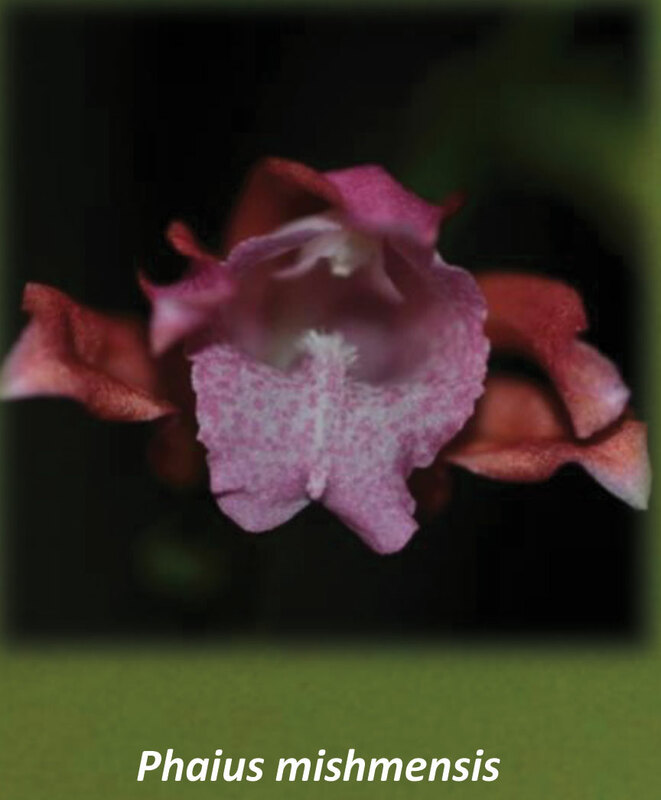 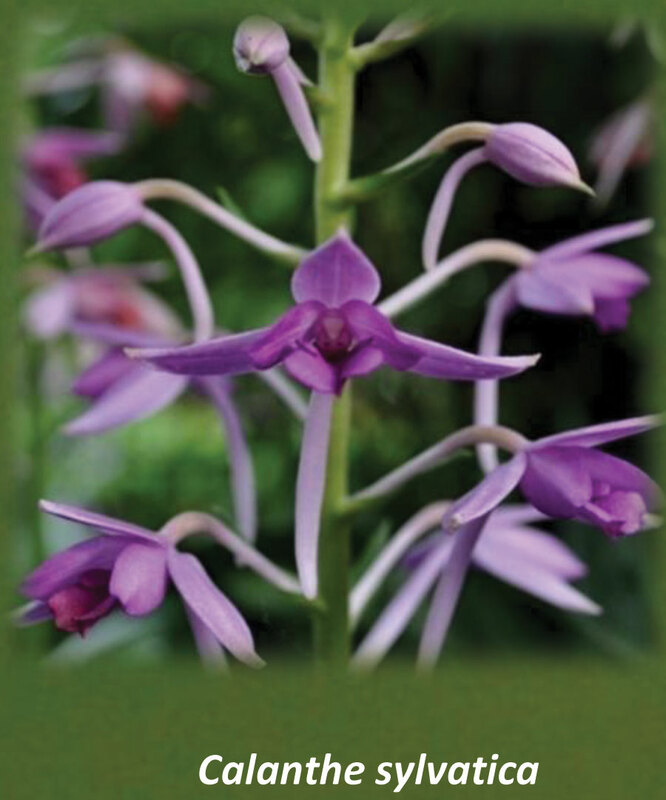 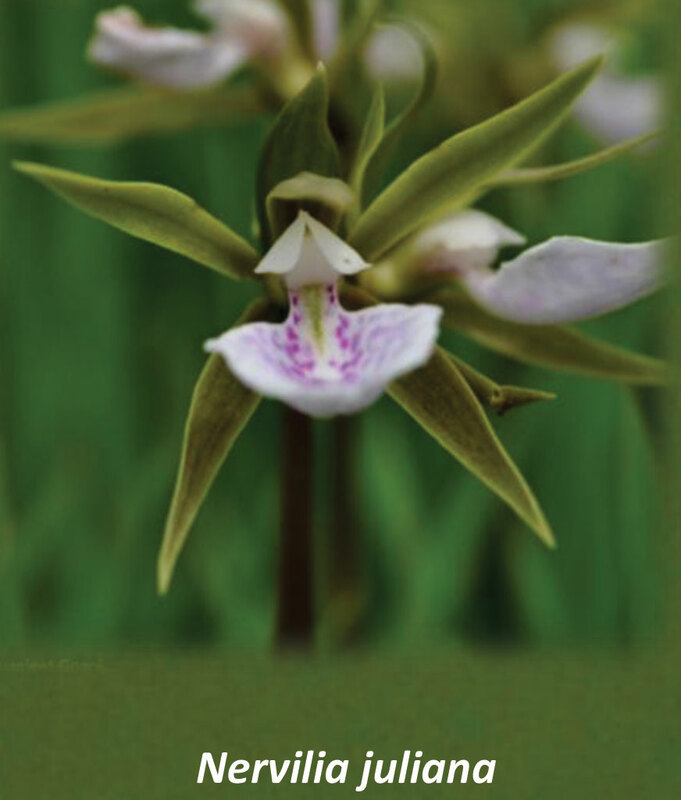 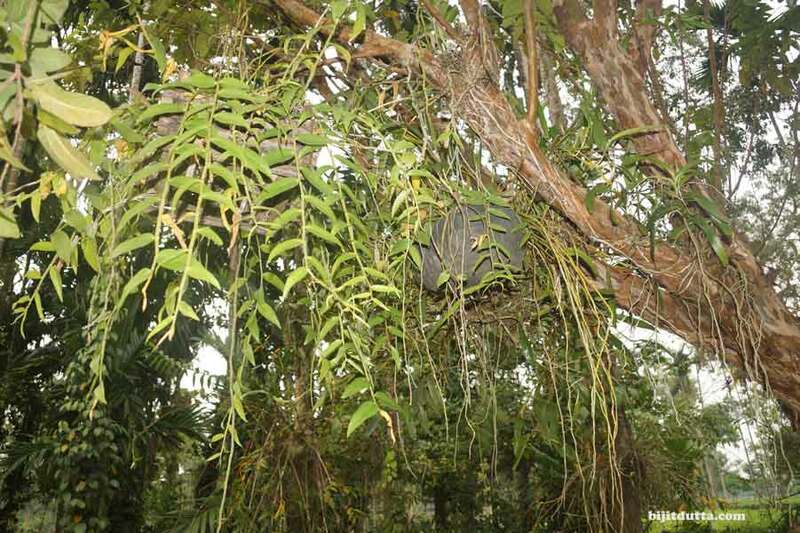 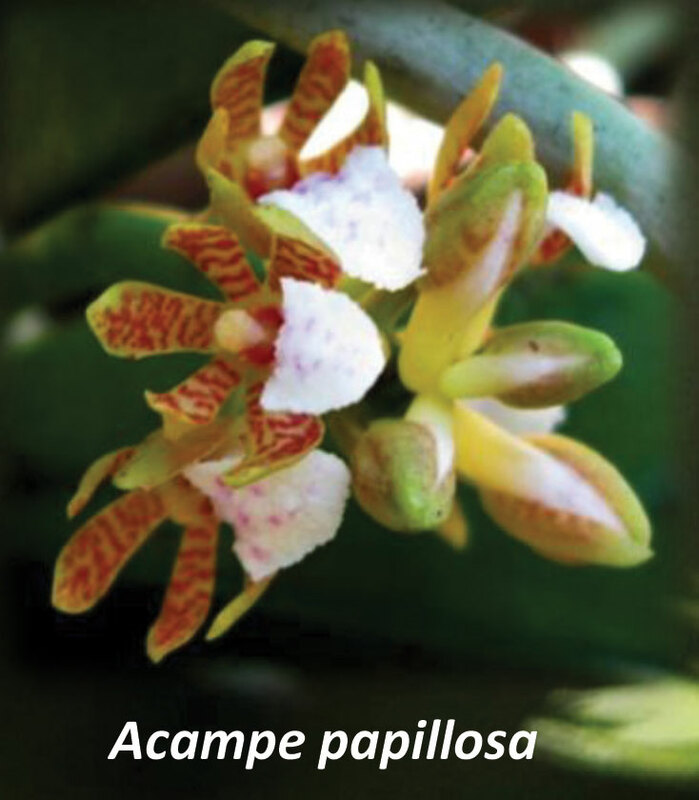 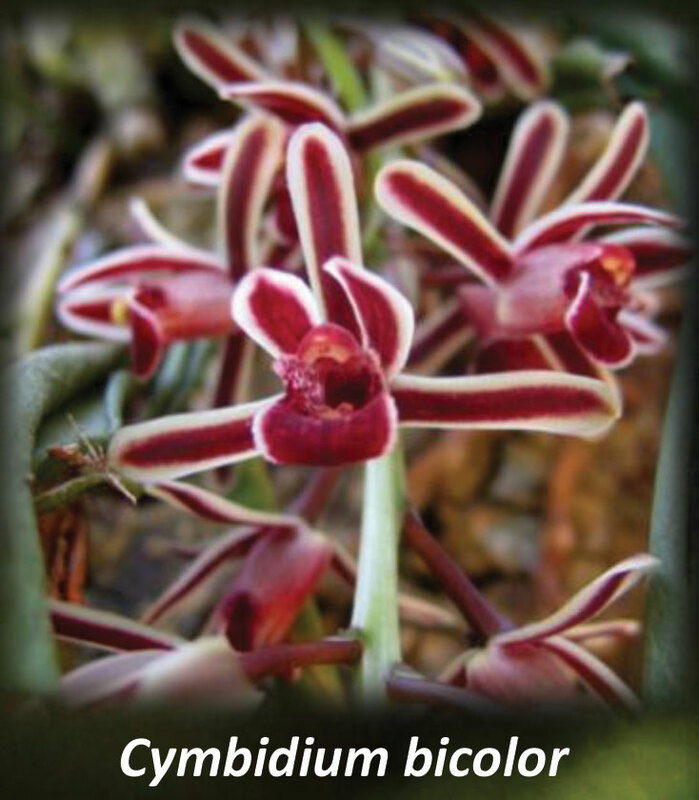 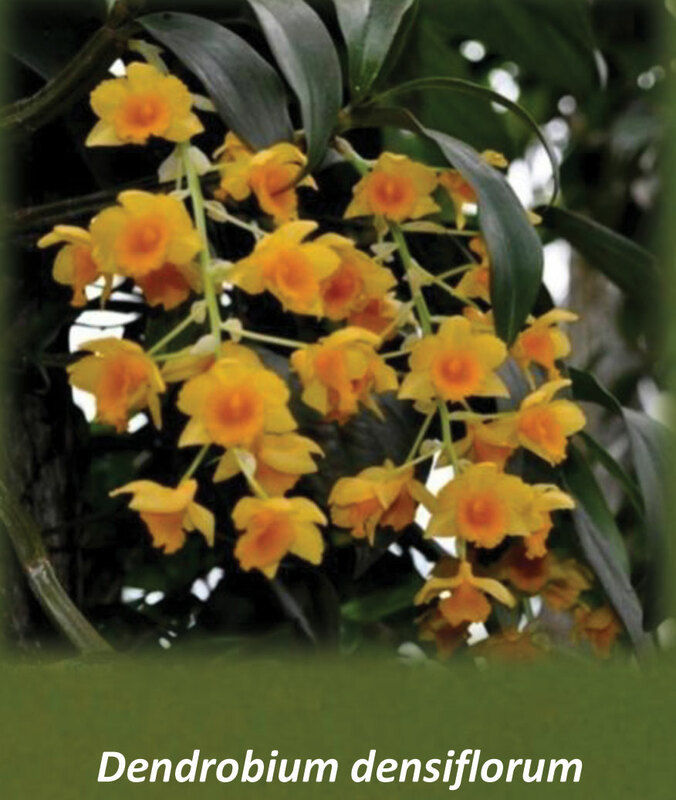 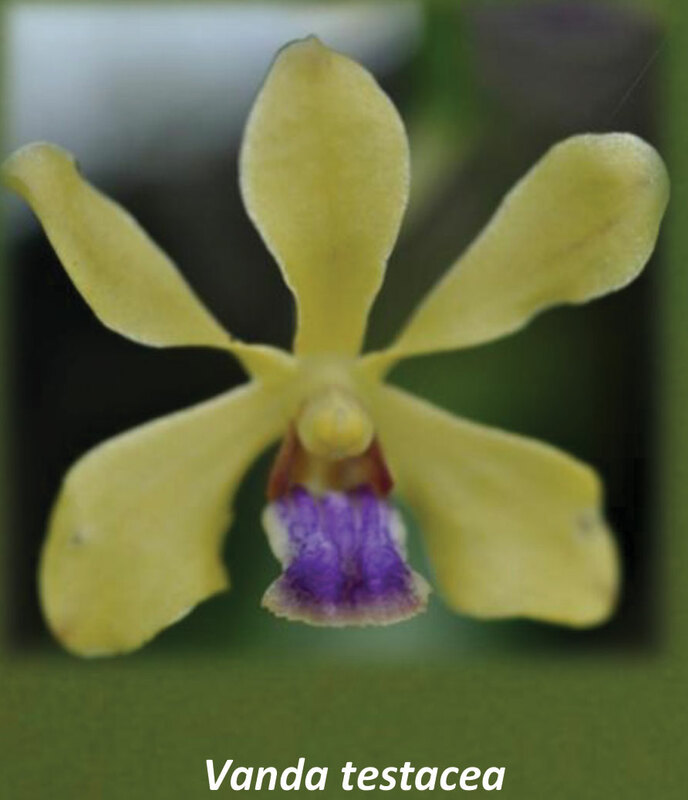 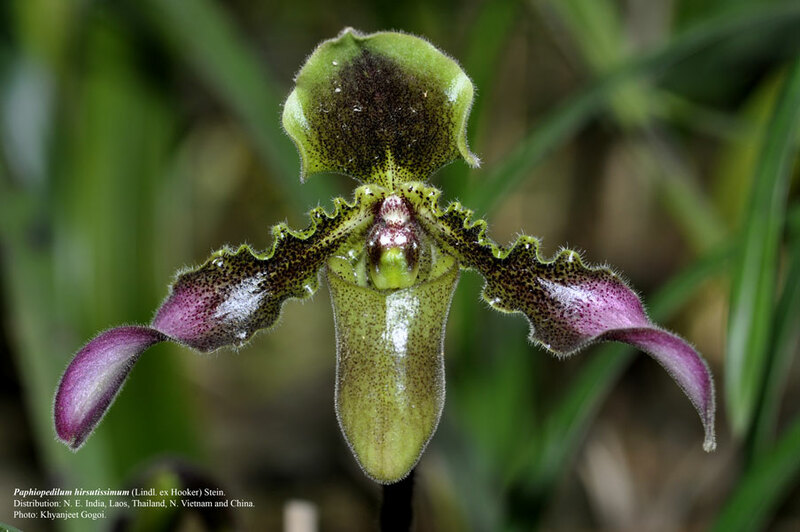 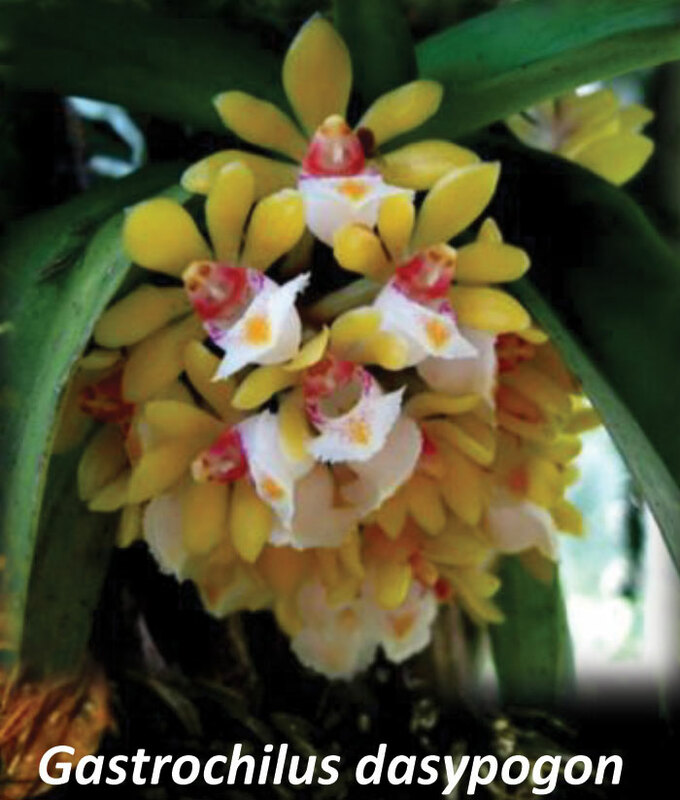 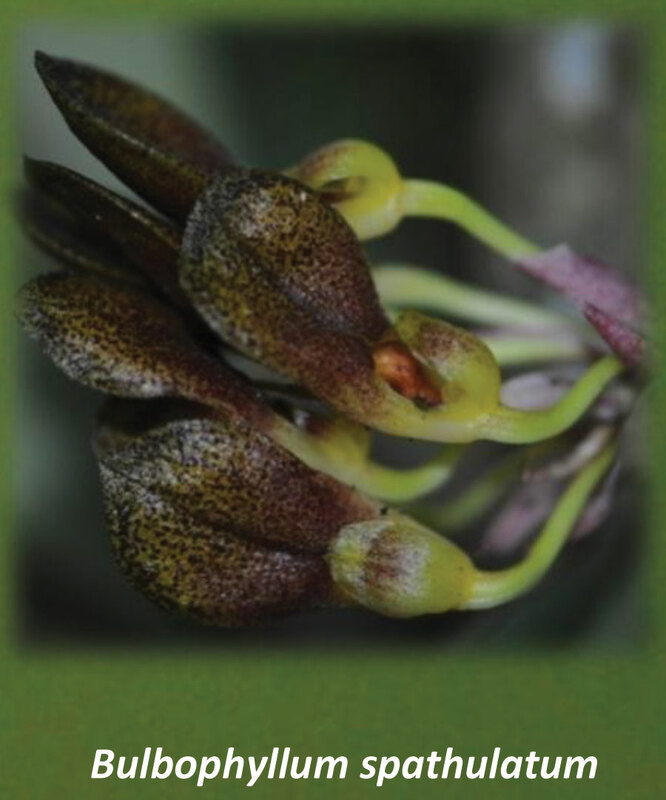 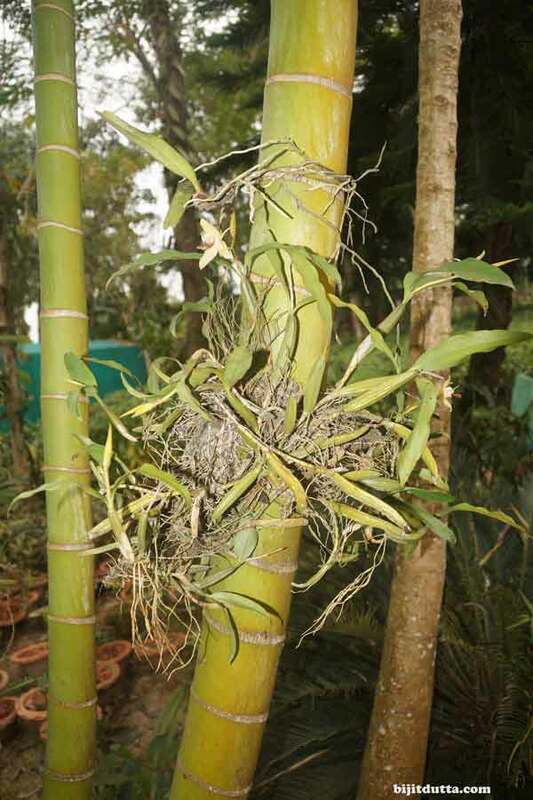 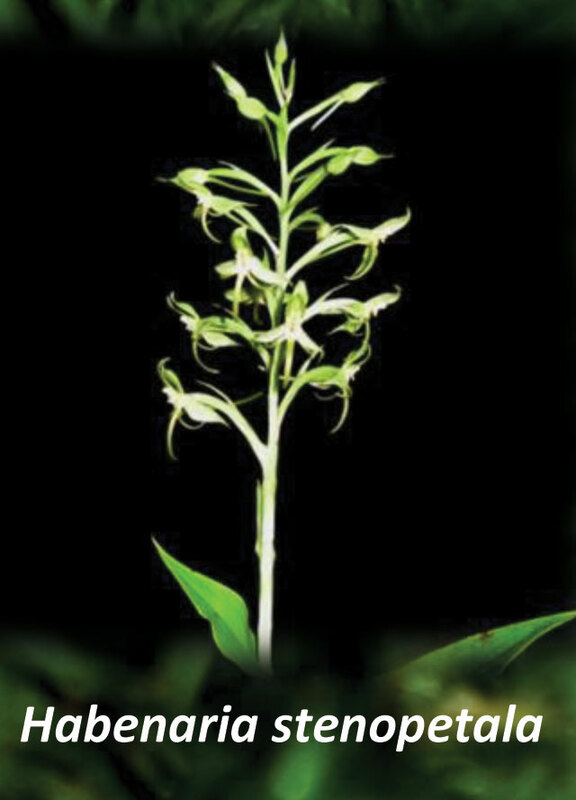 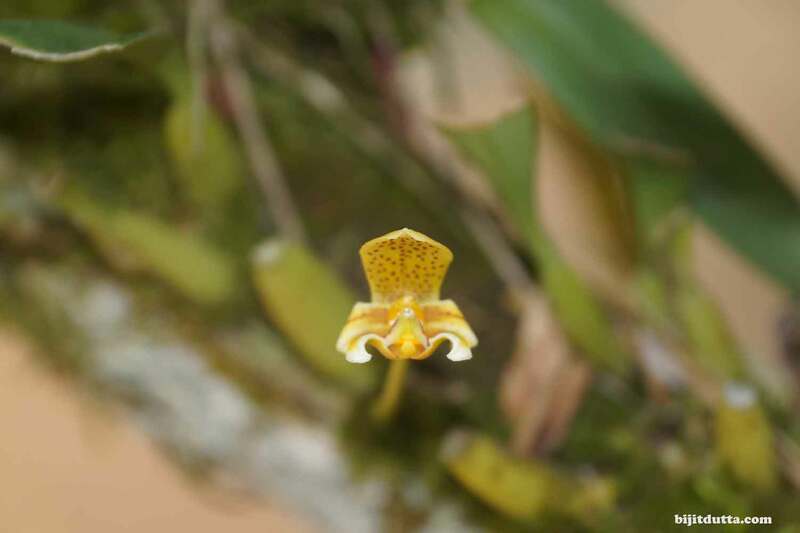 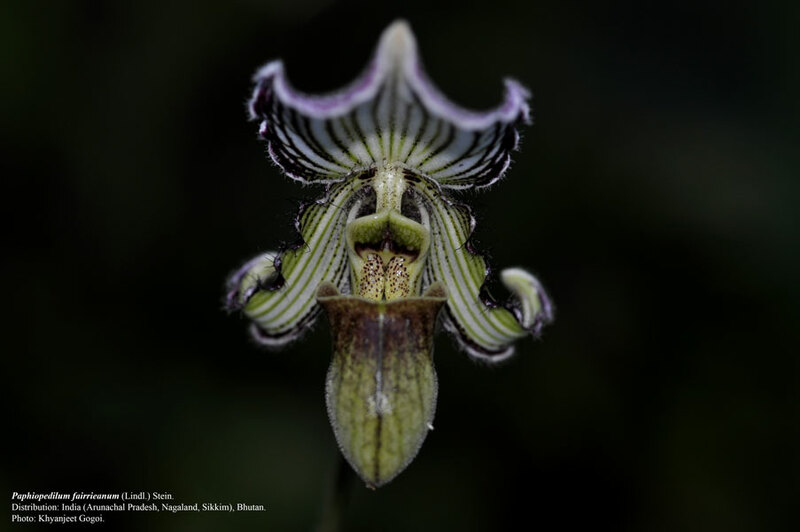 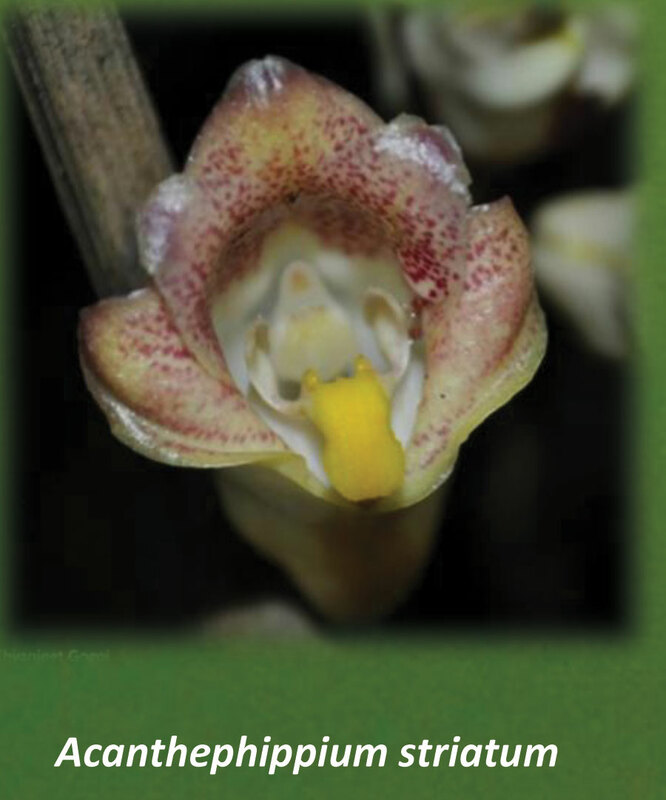 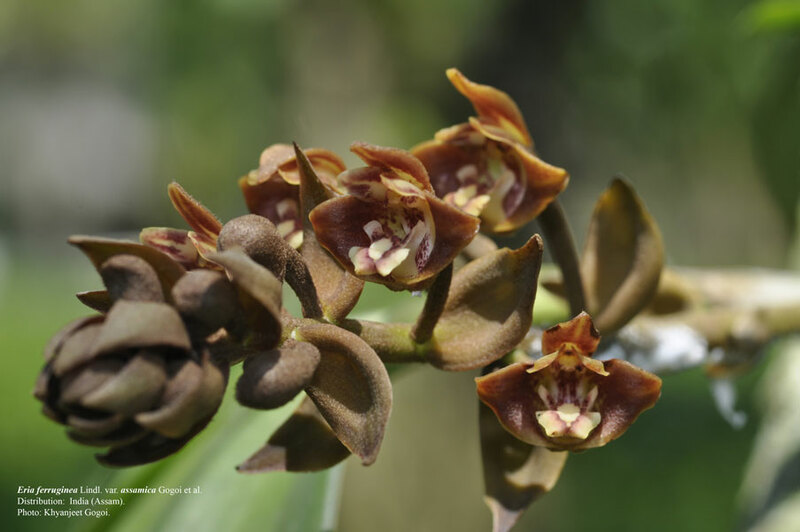 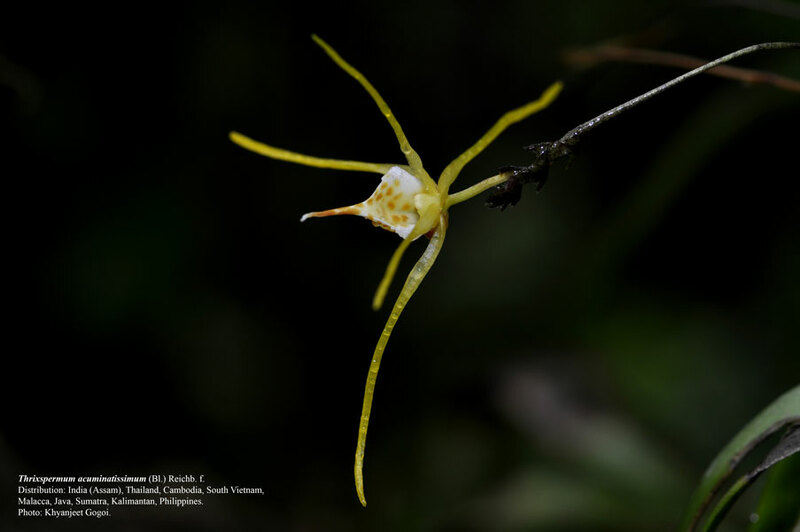 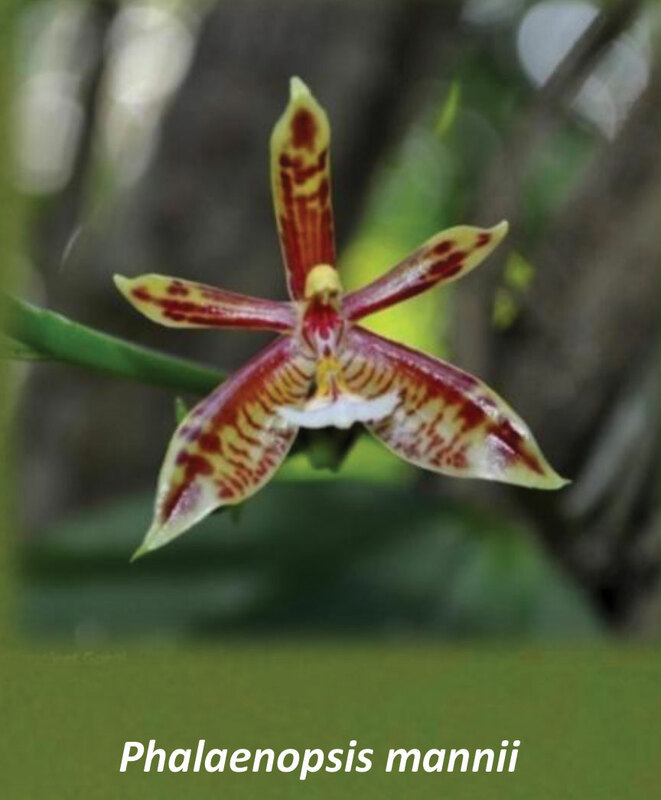 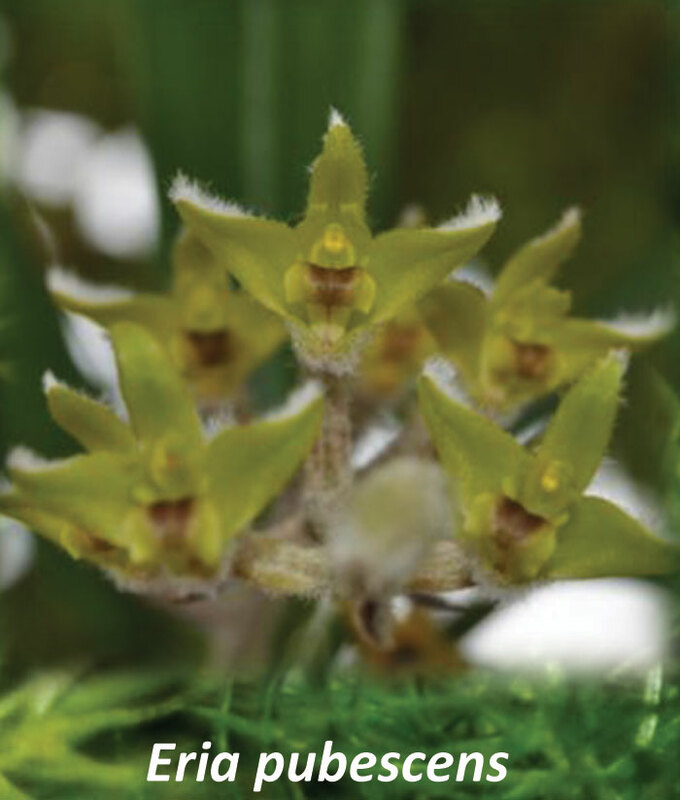 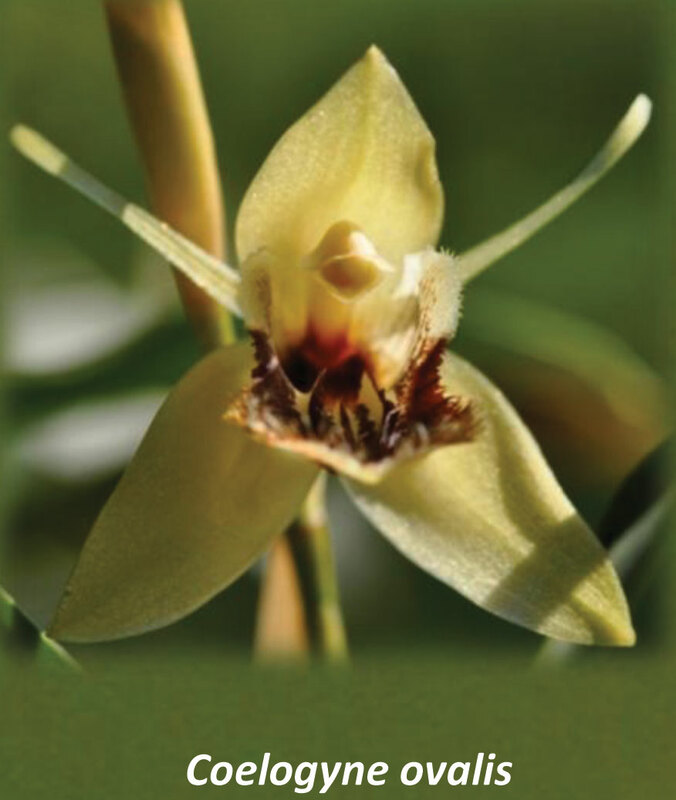 44 species of epiphytic orchids and only 7 species of terrestrial orchid are recorded in Garampani Wildlife Sanctuary. 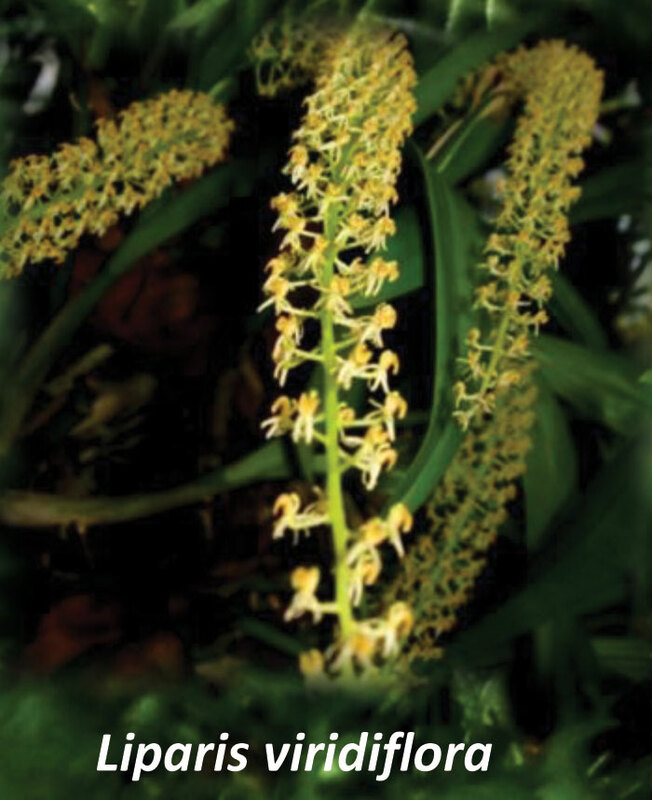 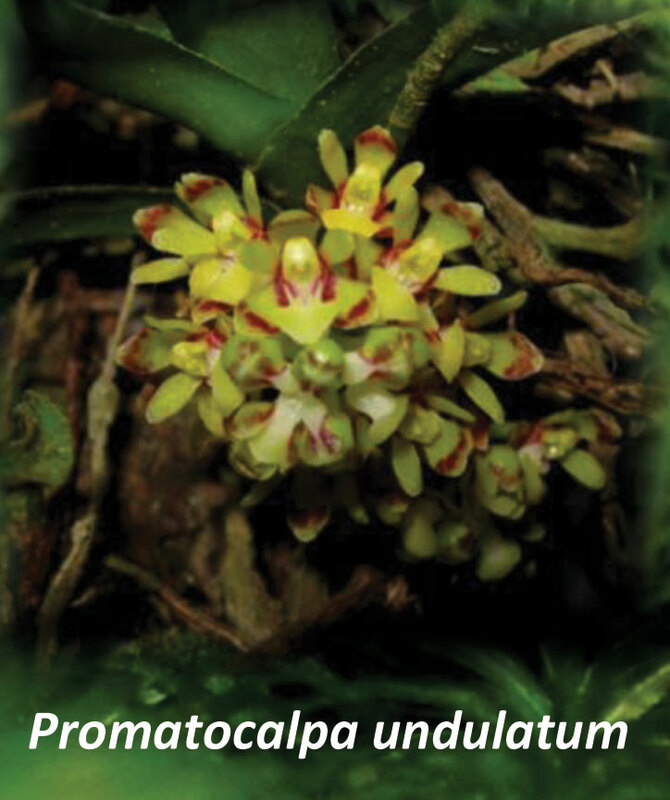 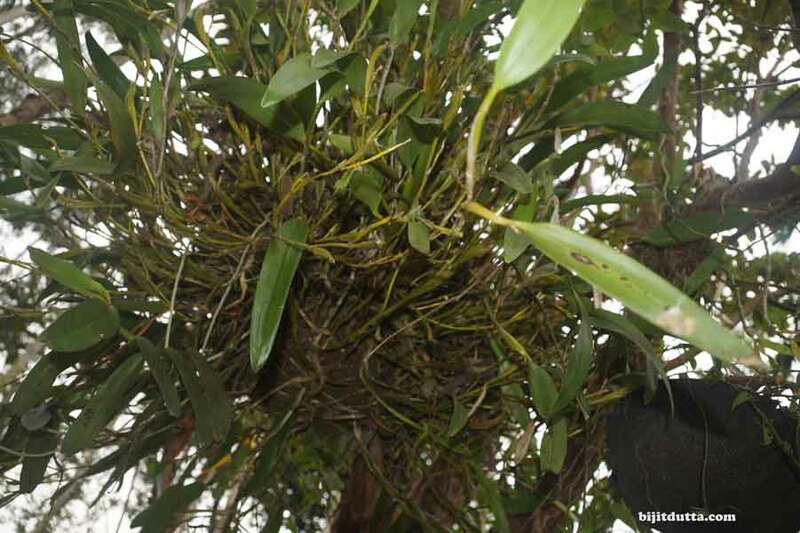 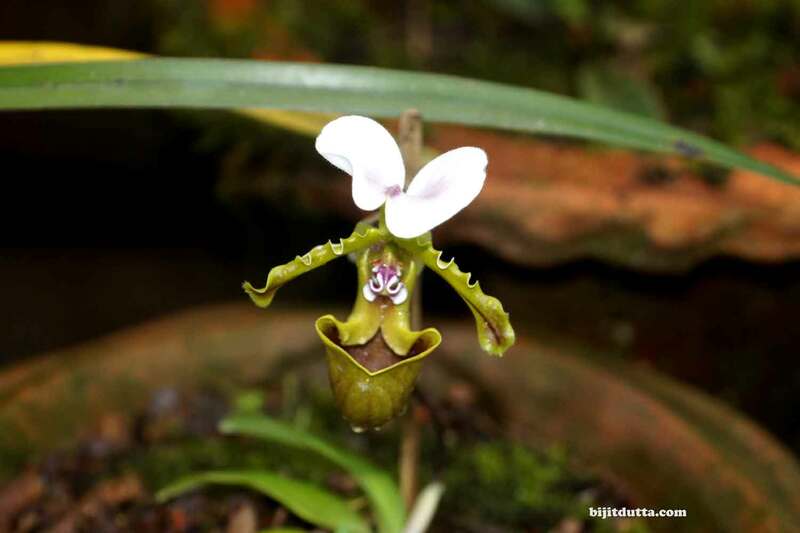 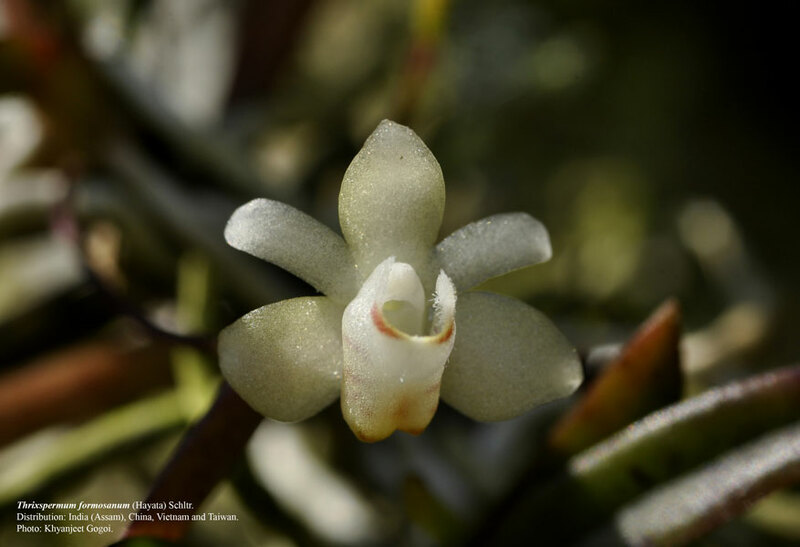 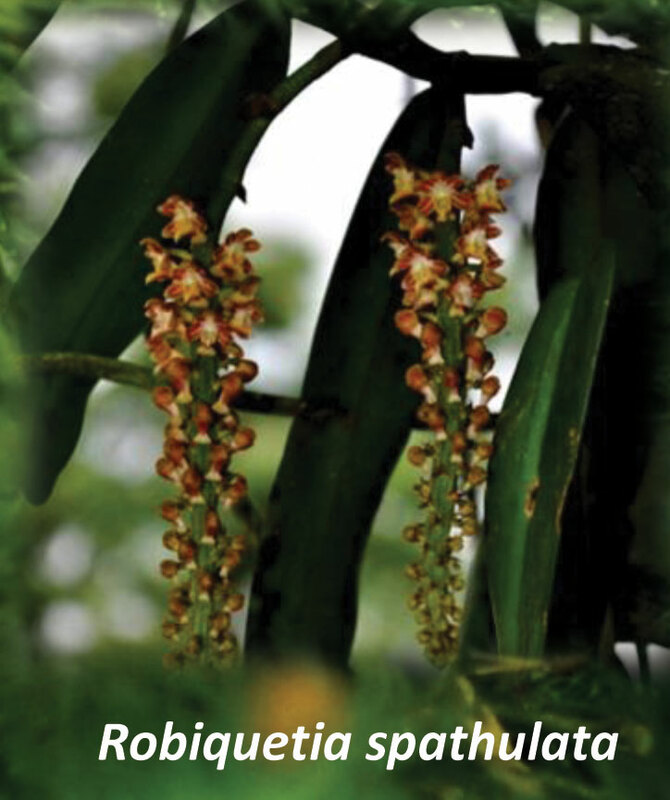 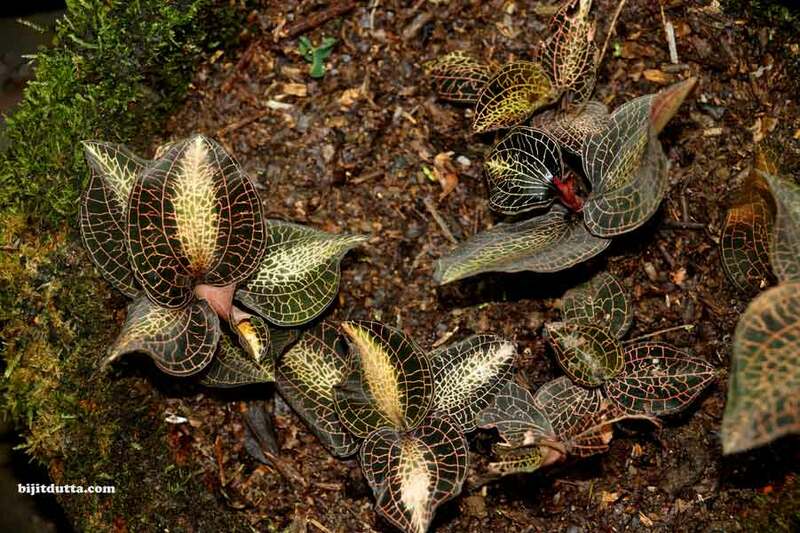 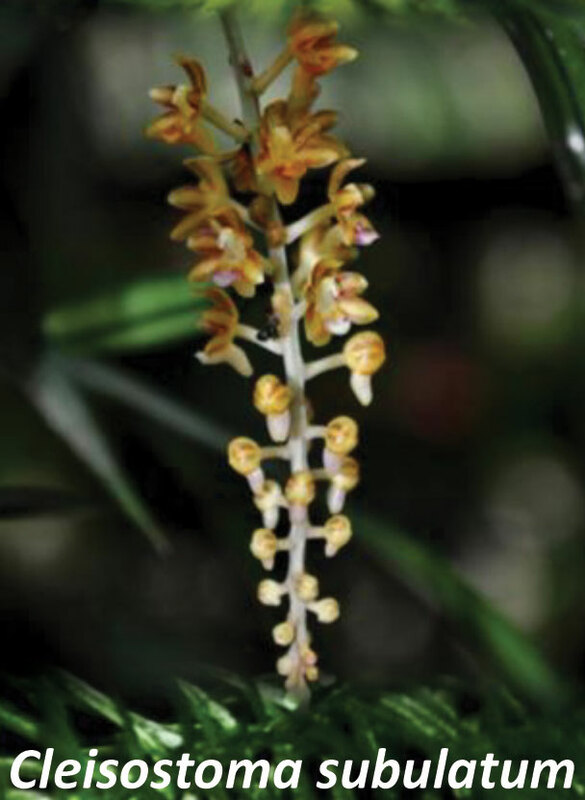 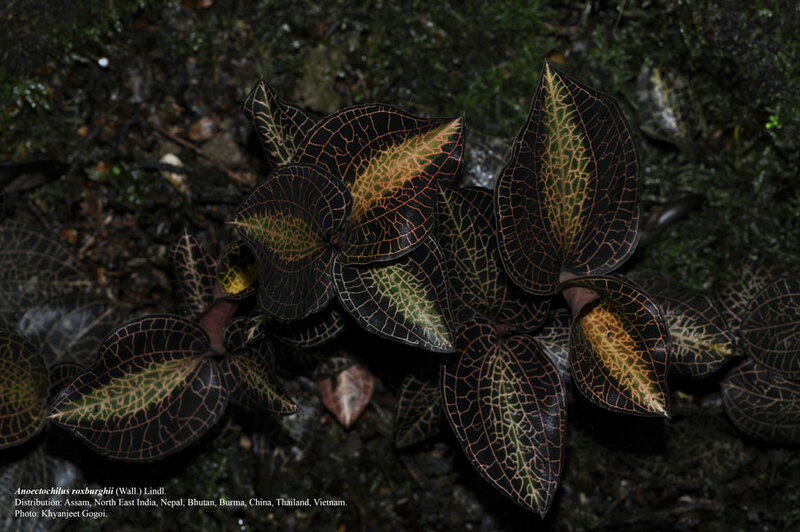 38 species of epiphytic and 9 species of terrestrial orchids have been identifies in Dibru Saikhowa National Park. 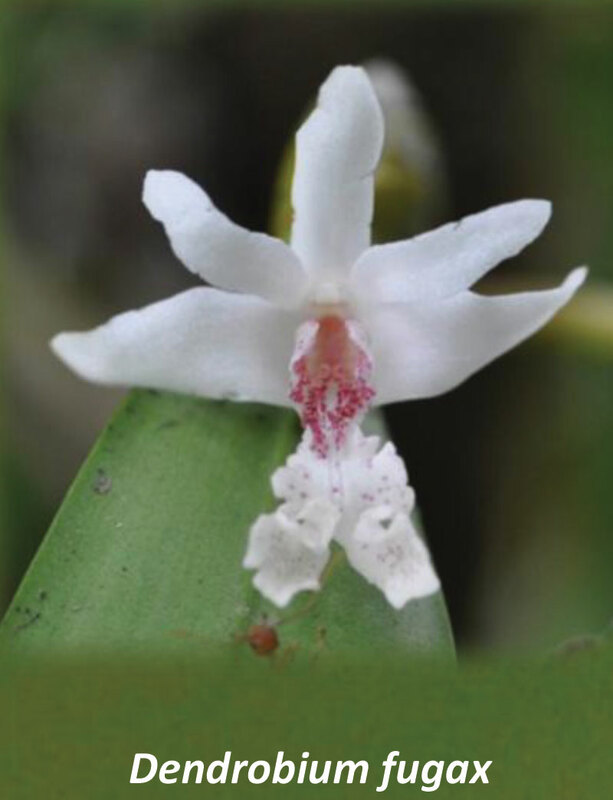 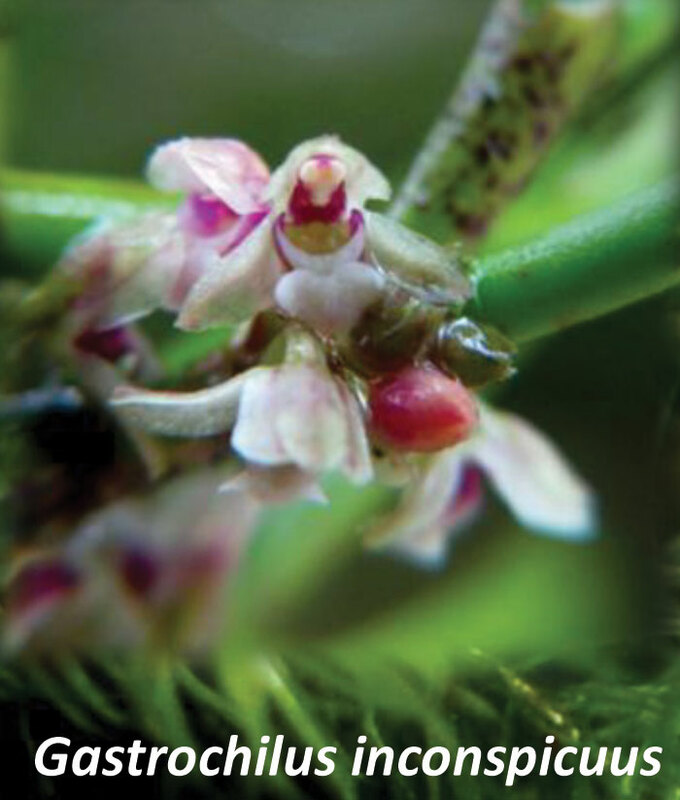 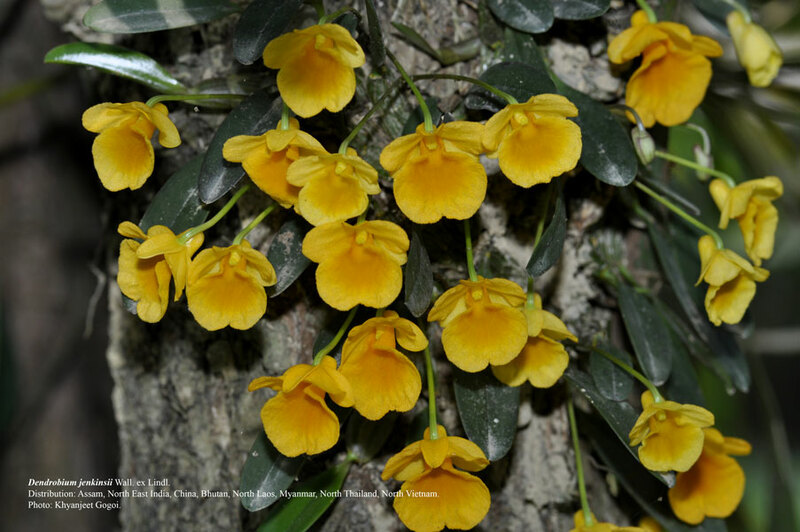 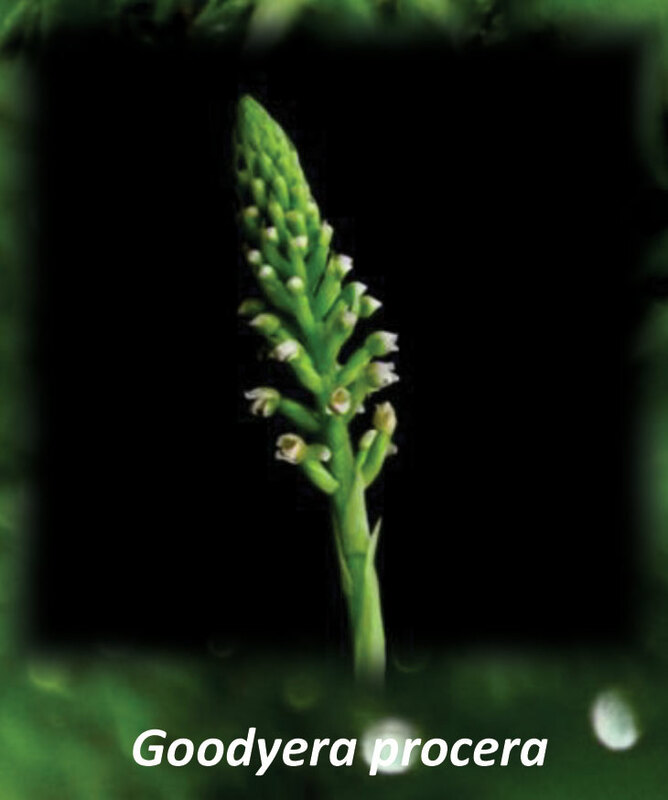 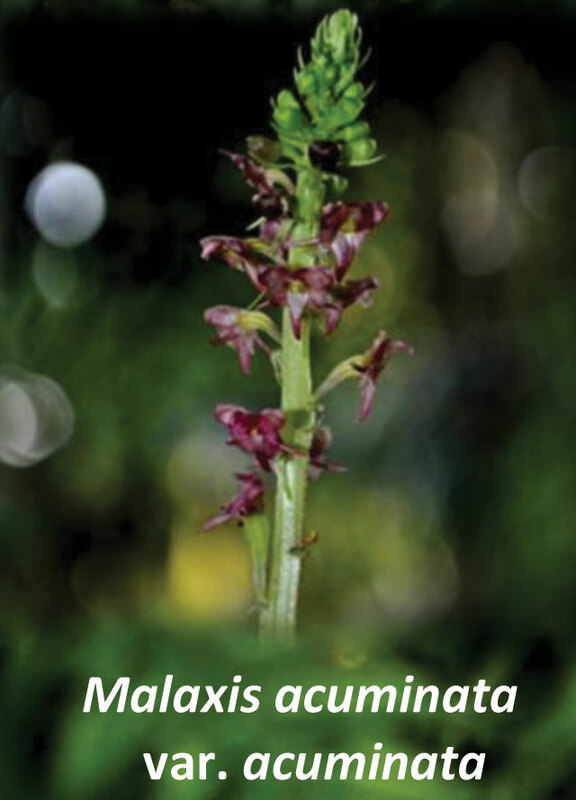 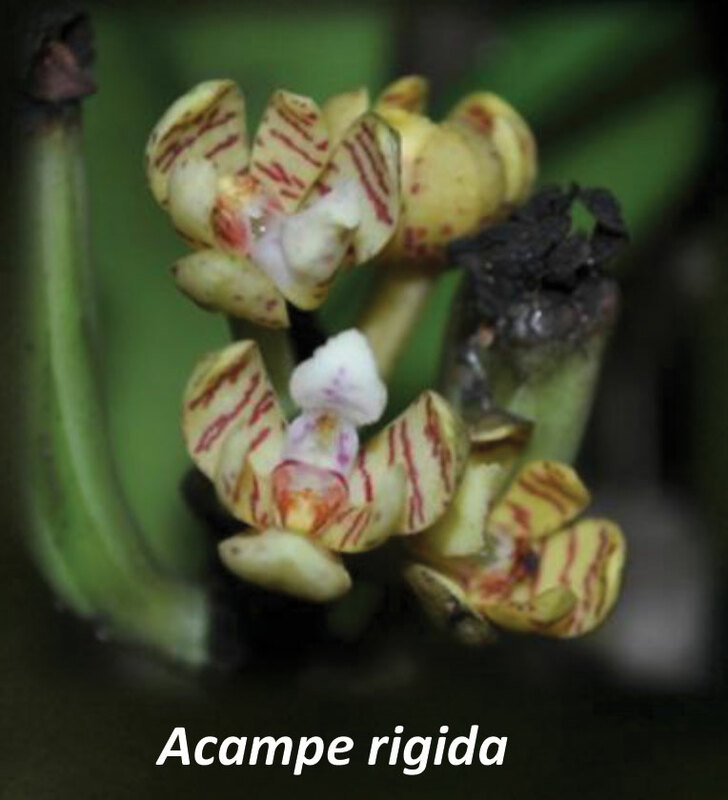 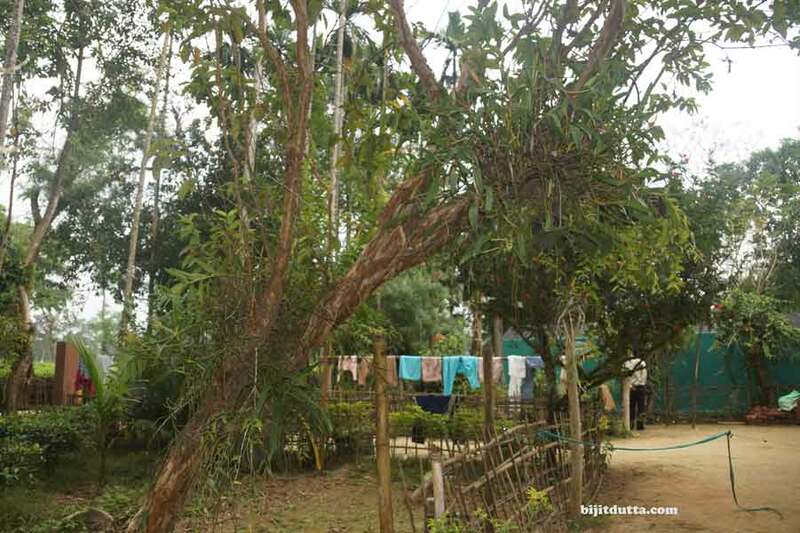 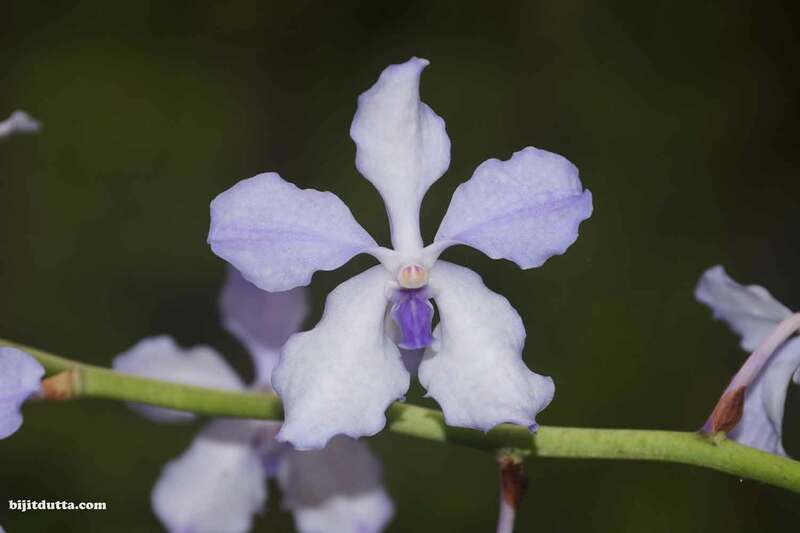 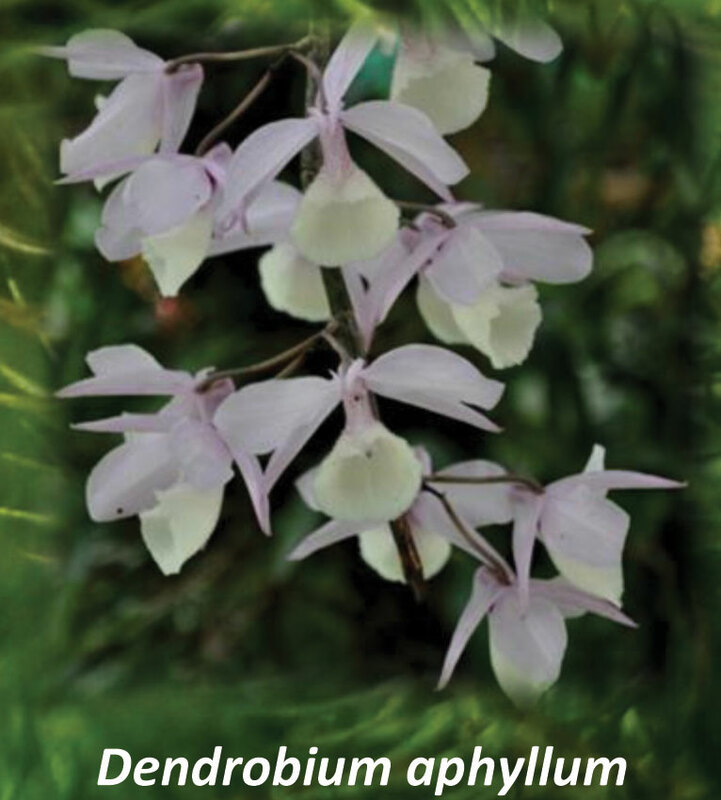 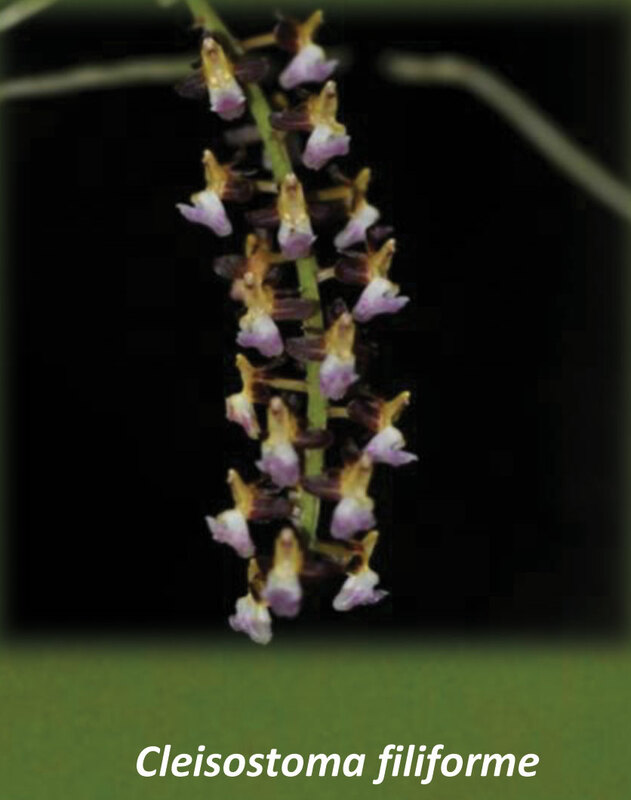 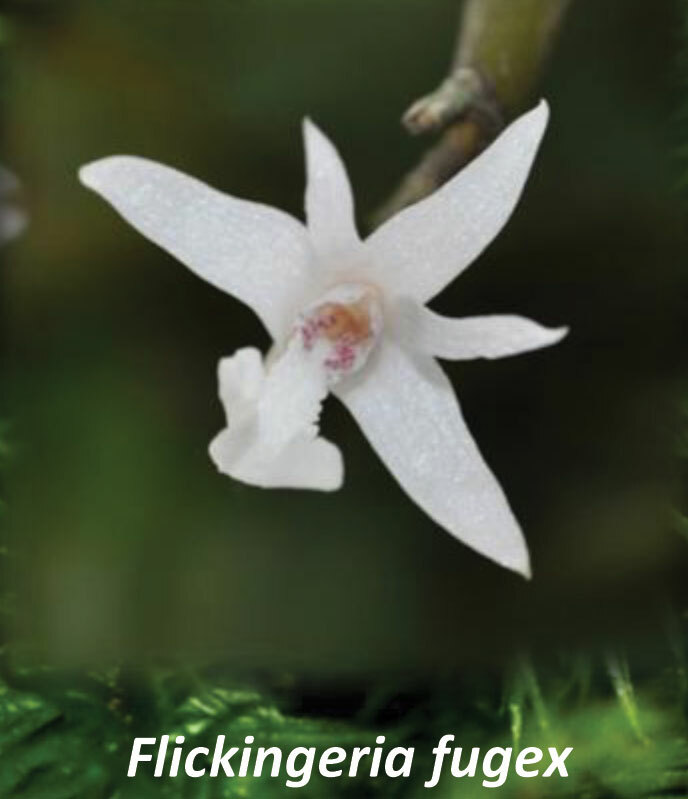 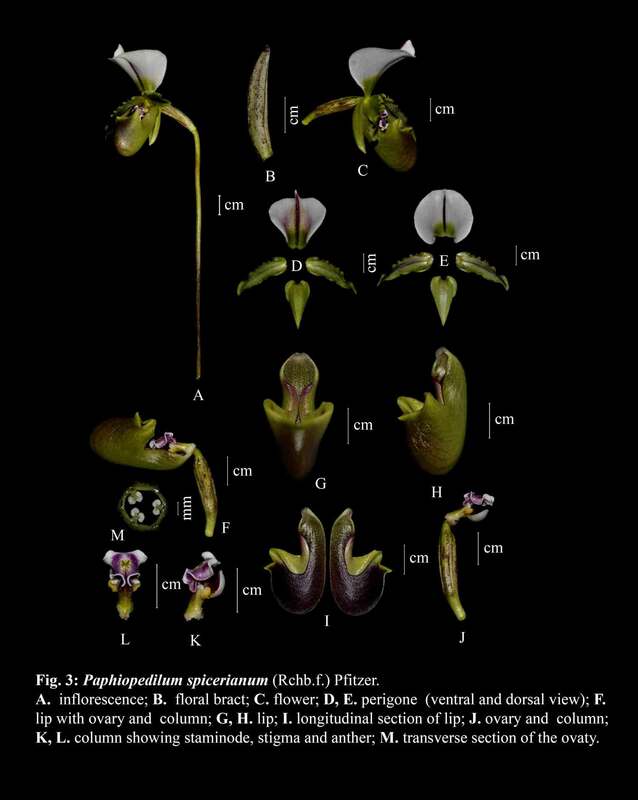 106 Orchid species under 49 genera have been recorded from the Karbi Anglong District. 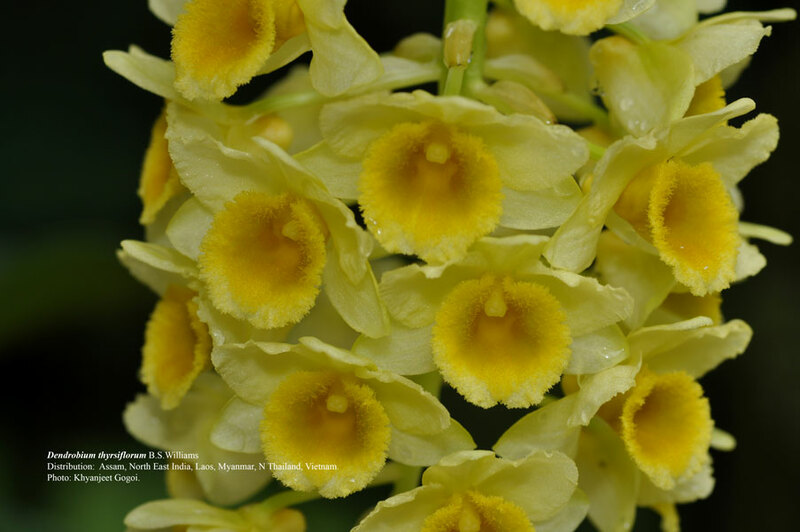 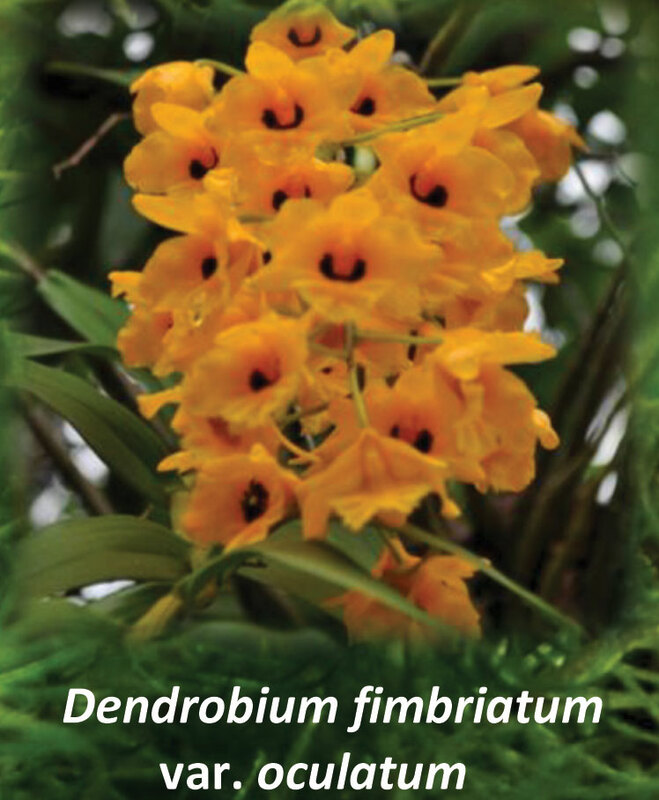 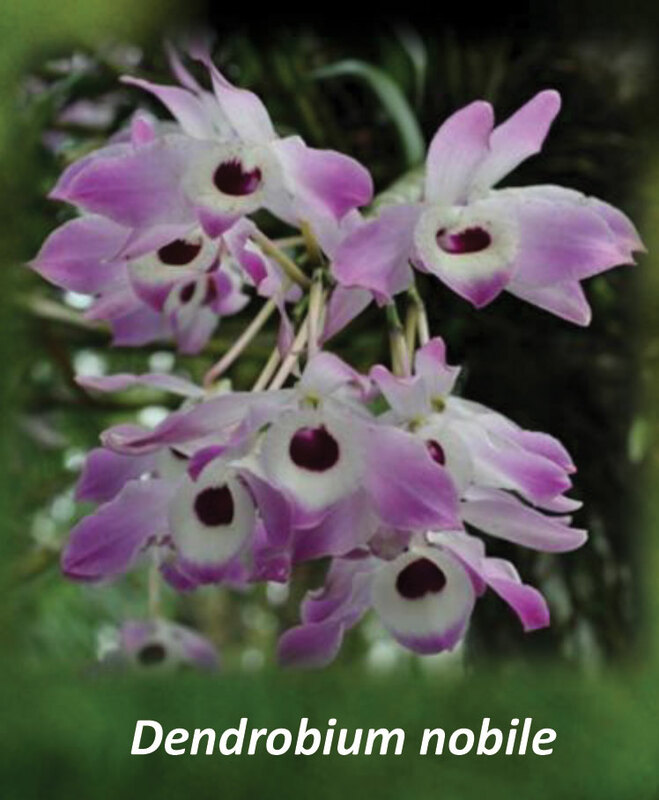 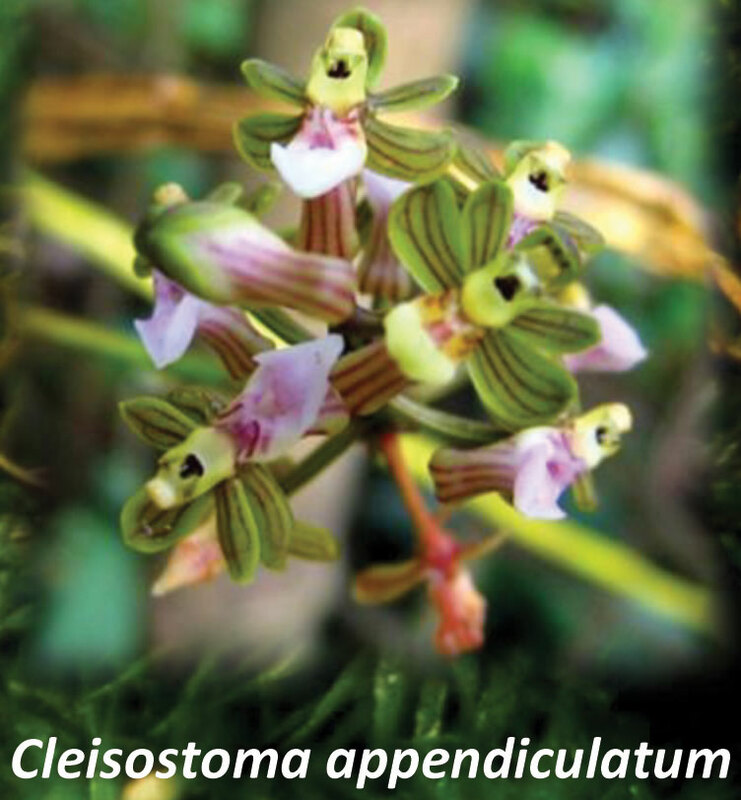 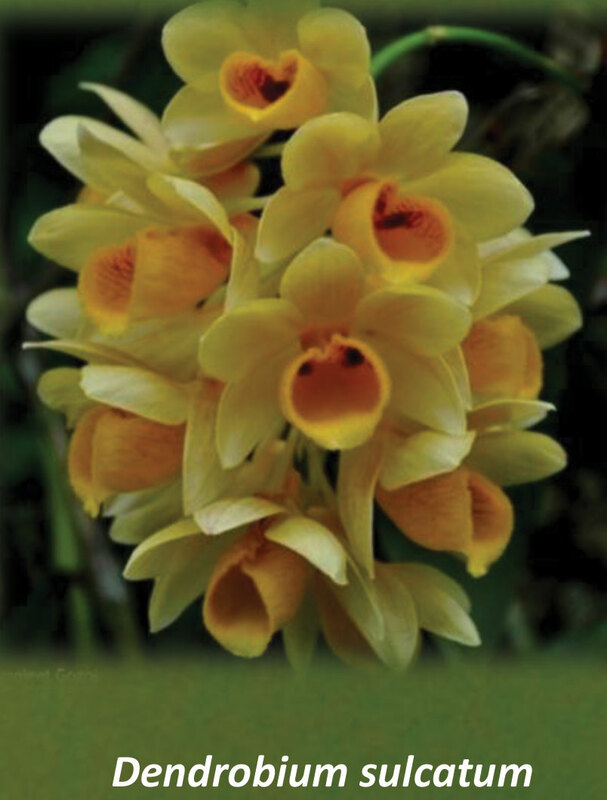 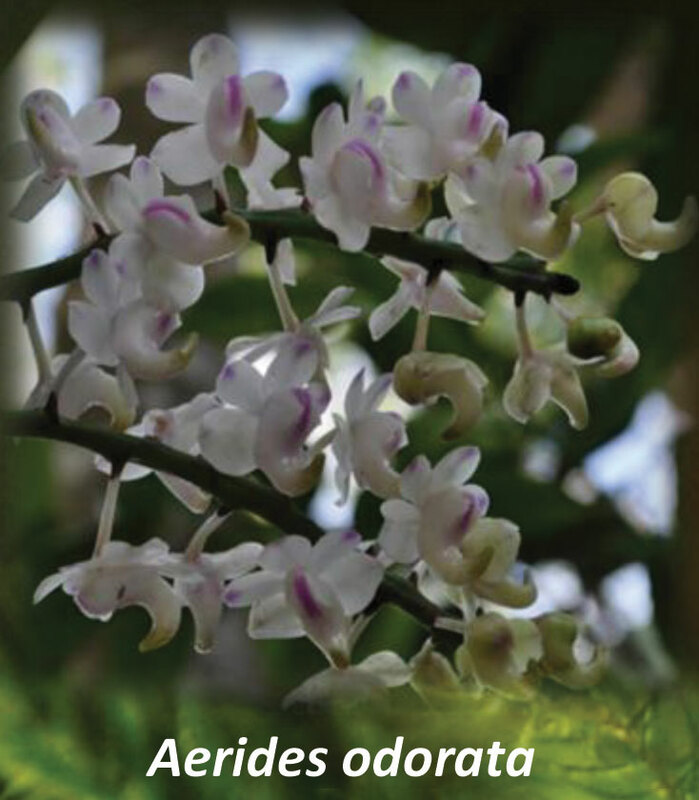 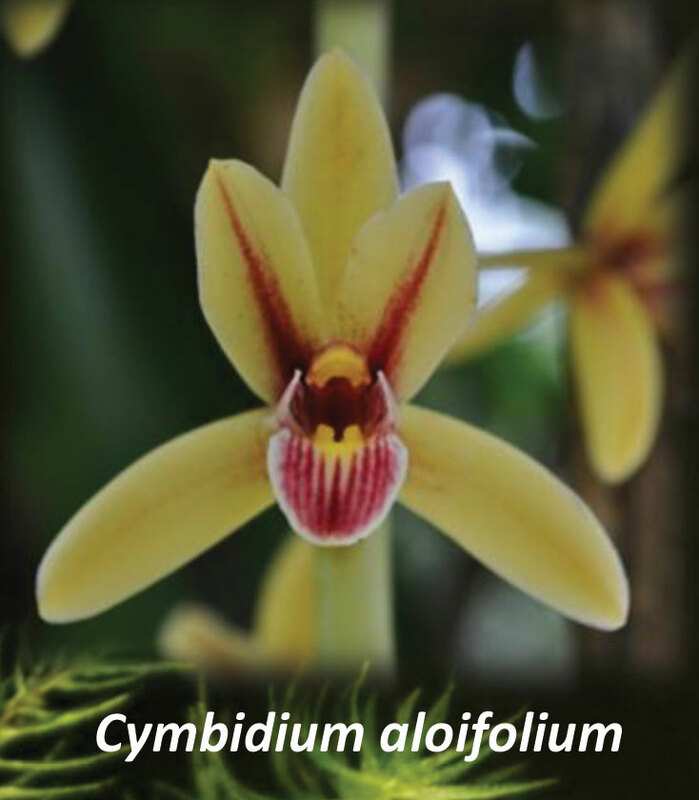 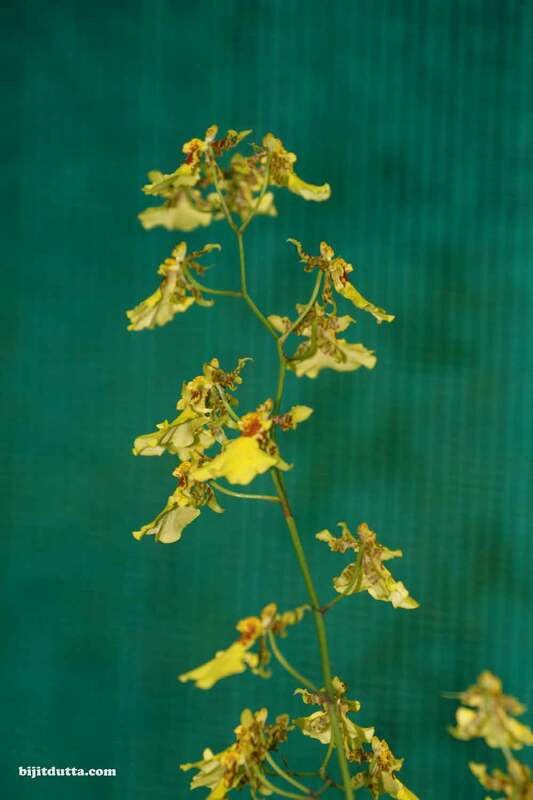 398 specific and 6 intraspecific taxa belonging 102 genera of Orchids have been recorded from Assam. 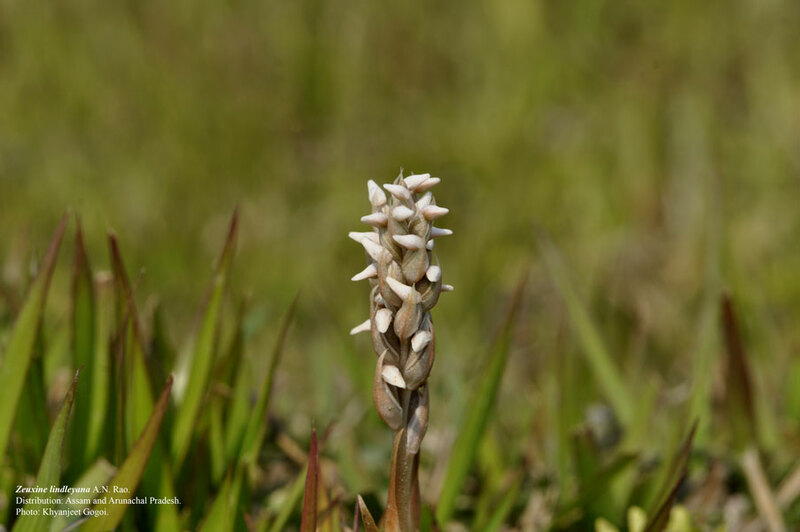 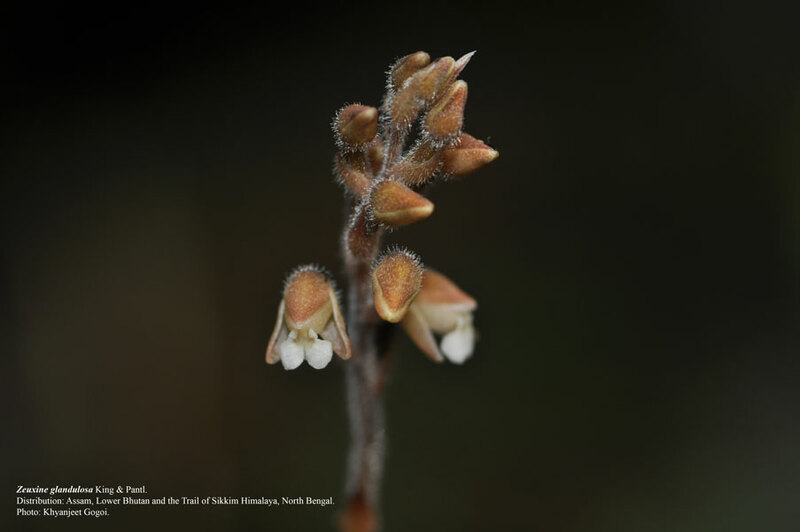 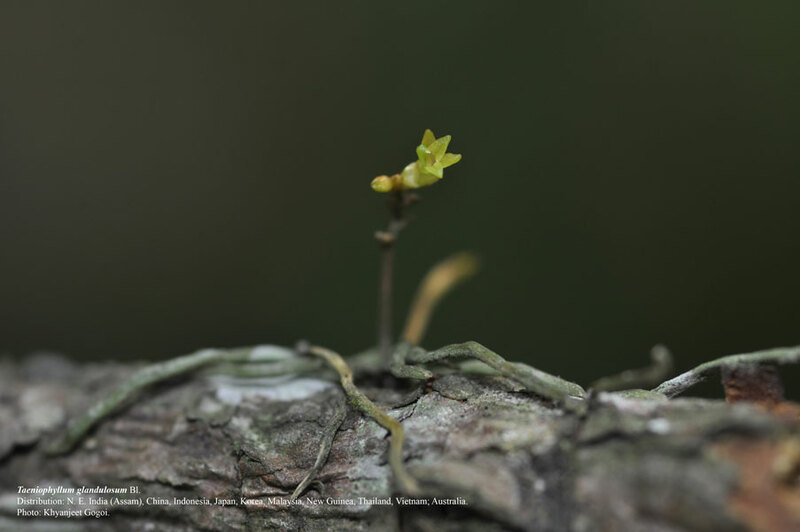 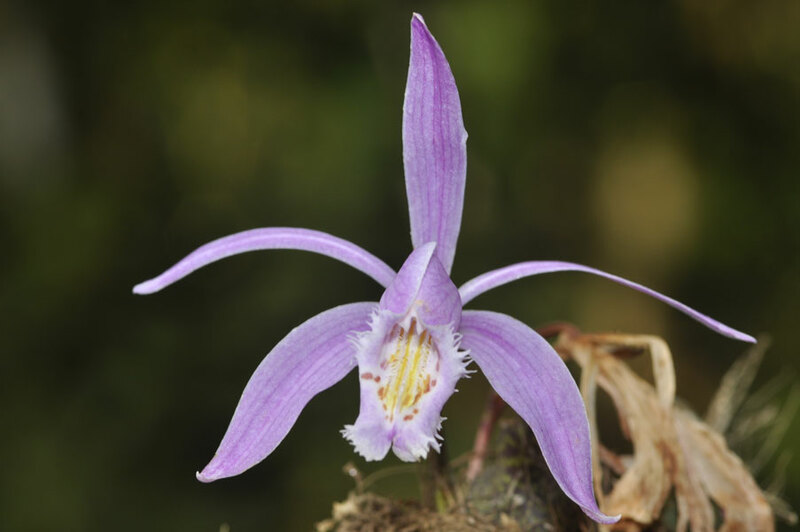 In search of wild orchids, he had tracked 165 K.M.s for 6 days and reached a height of 4500 Meter above the sea-level in the steep hills of Arunachal Pradesh along the China border. 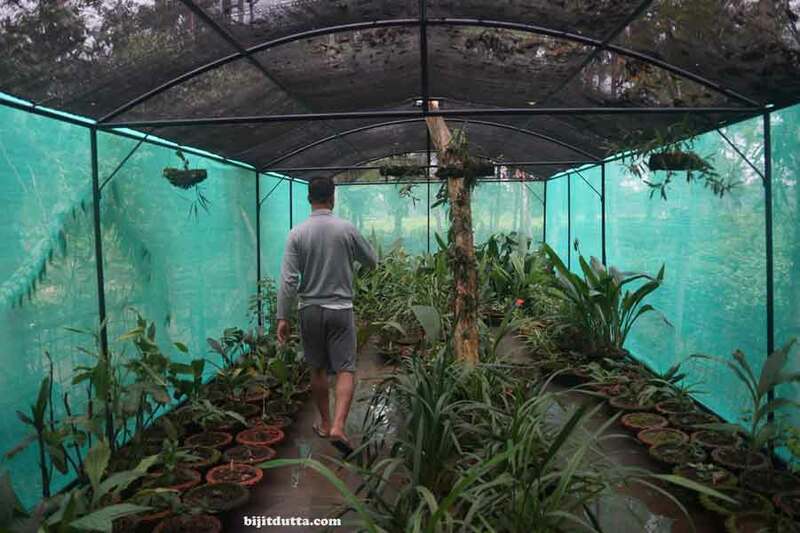 There, he had the opportunity to see 200 rare species of orchids. 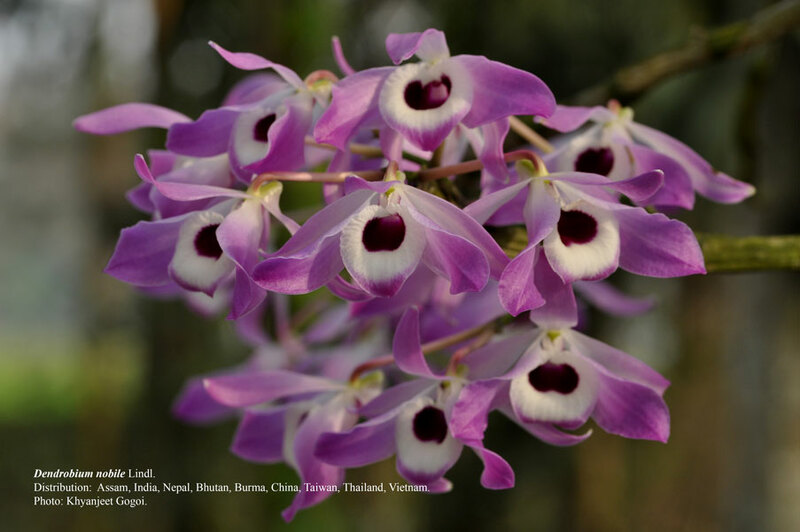 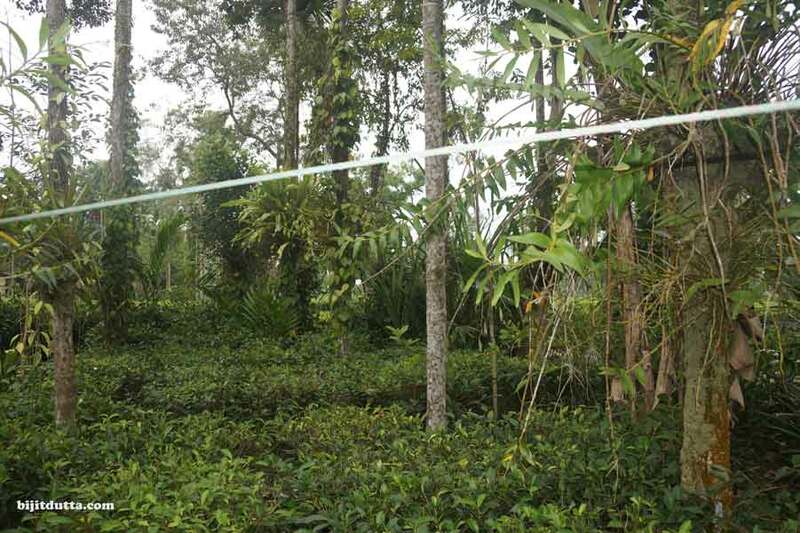 Exploring habitats of orchids, he travelled almost all reserve forest and national parks of Assam and adjoining states. 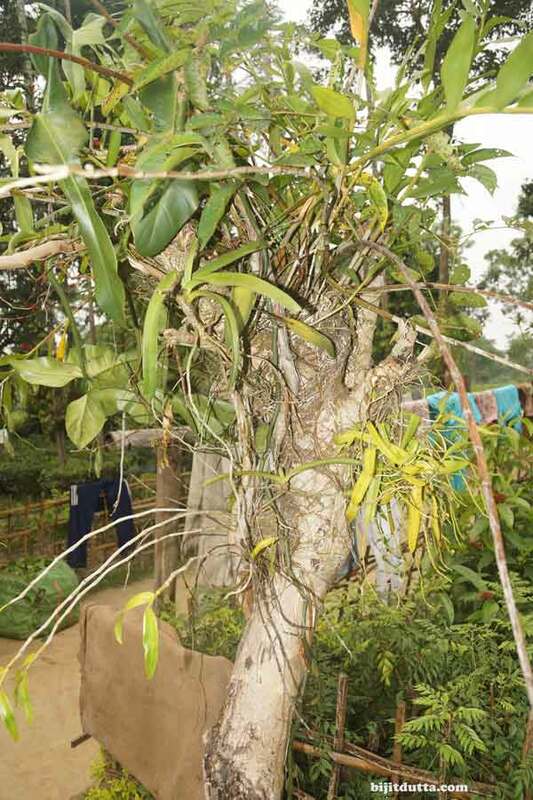 Khyanjeet is also concern about rampant orchid smuggling. 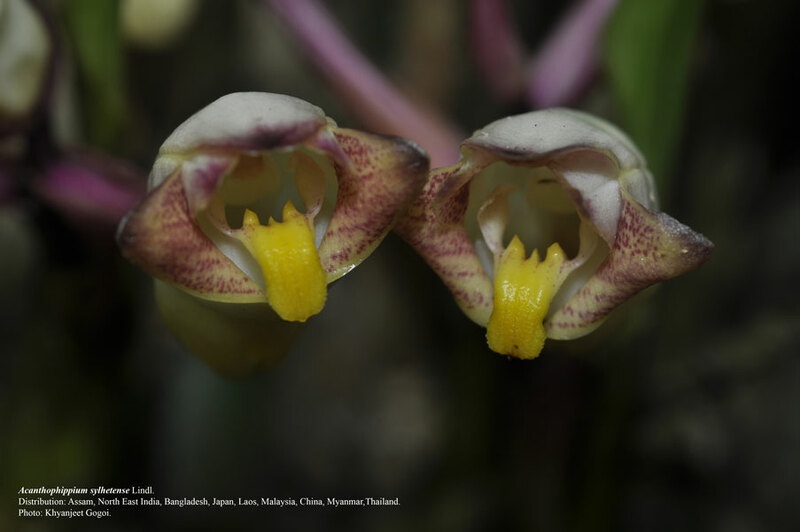 According to him, if this happens at this rate, then soon, many rare verities of orchids indigenous to Assam, will be extinct. 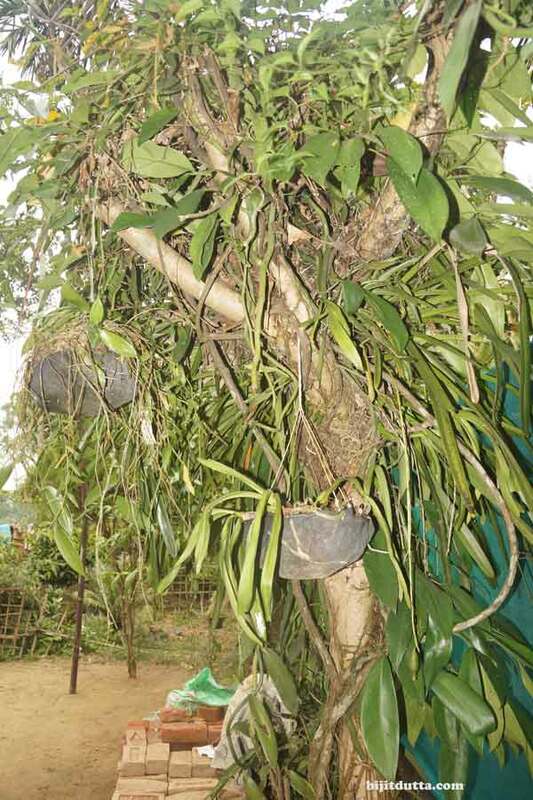 He thinks that the reason behind such mass smuggling and peoples’ insensitivity towards orchids is the lack of awareness. 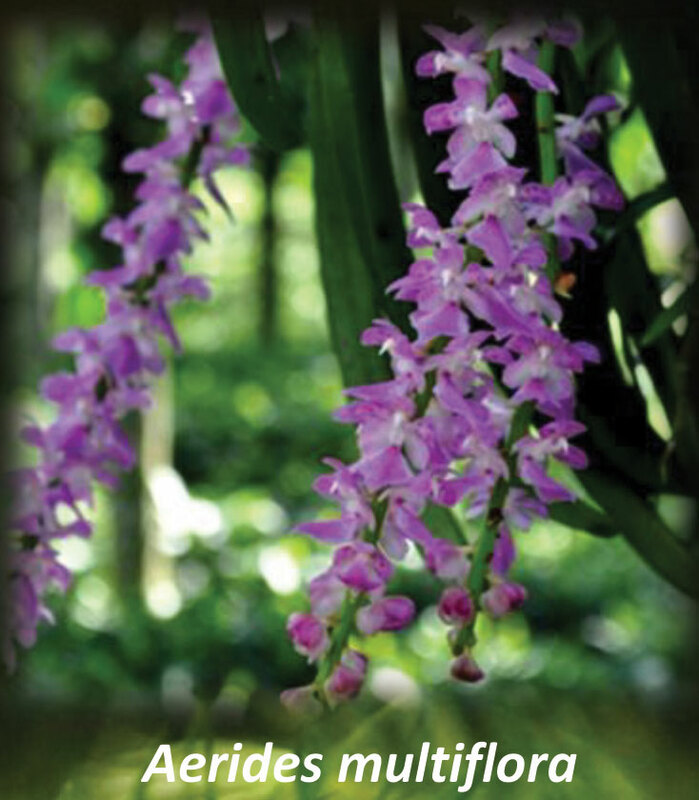 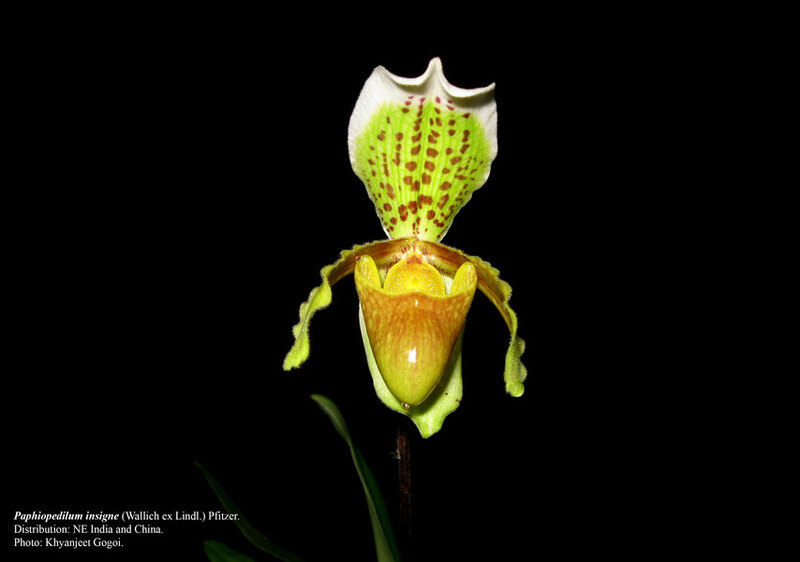 He himself has been successfully managing a backyard orchid garden and kept alive as many as 400+ species of orchids. 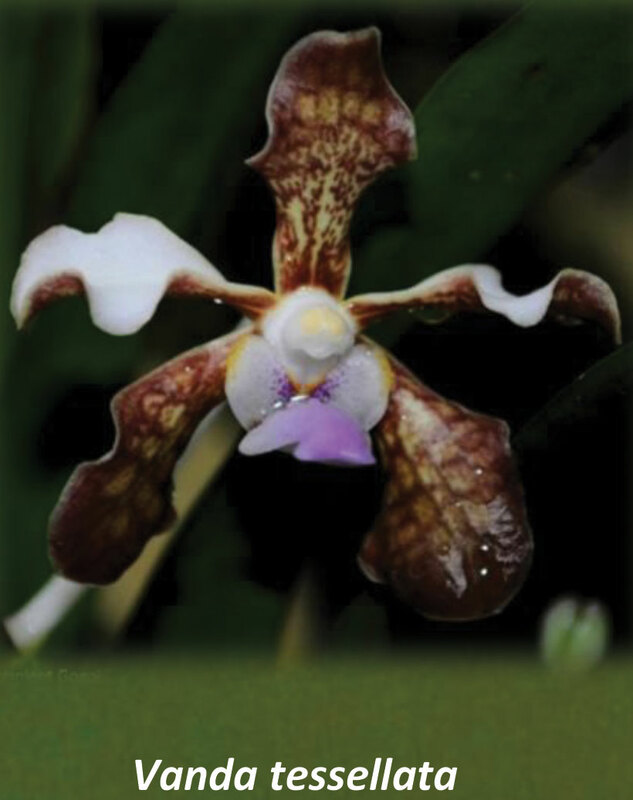 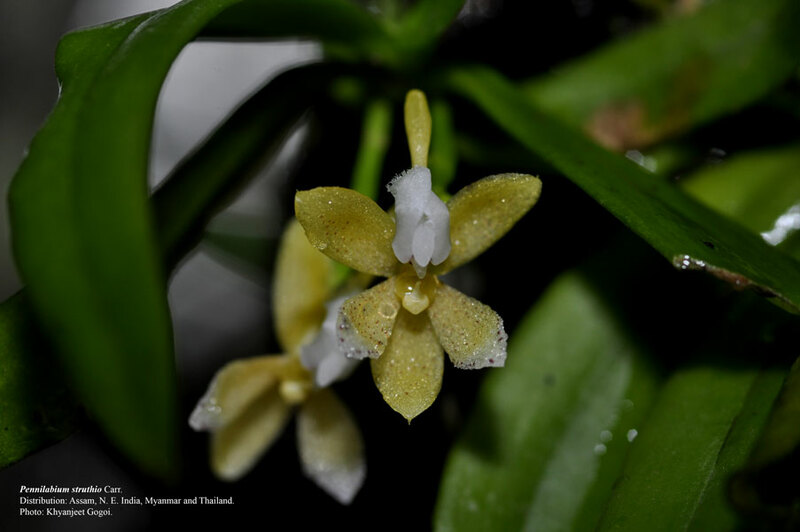 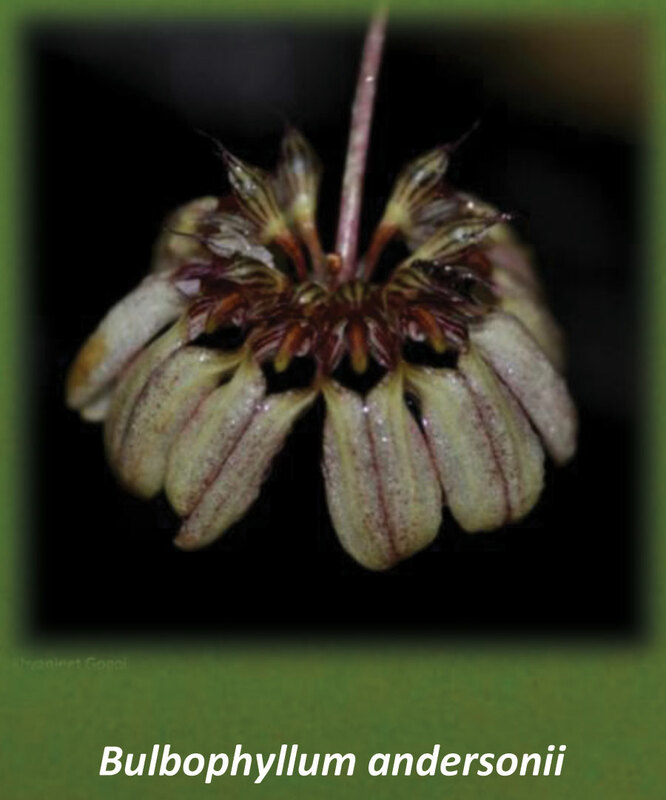 His work has evolved from about twenty years of the exploring, culturing, and seriously studying and publishing about the orchids. 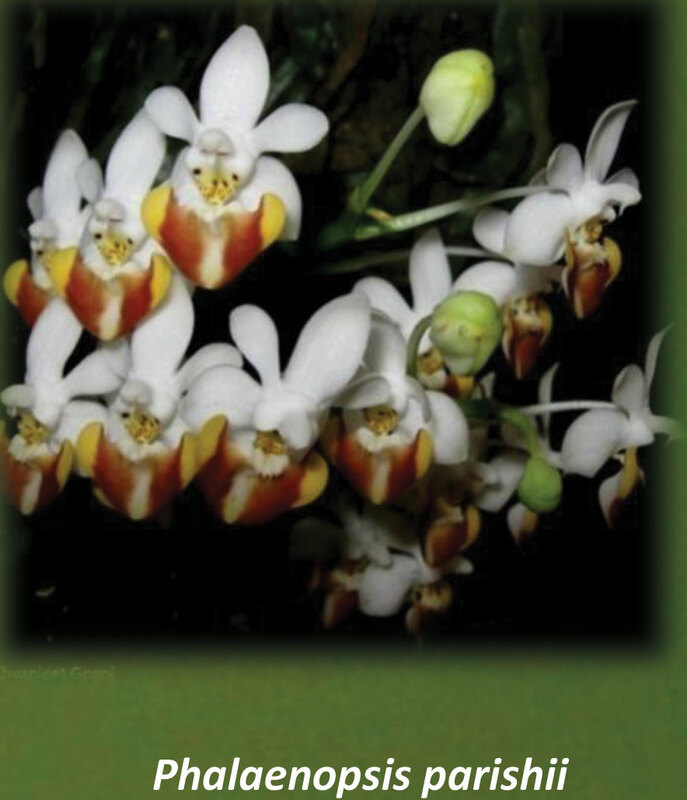 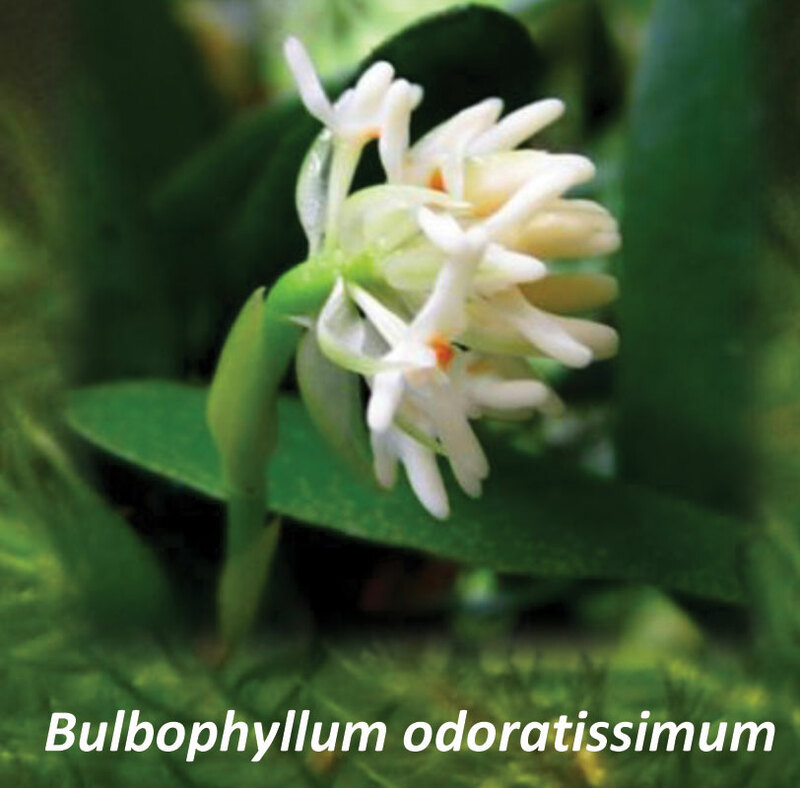 In his books and journals, the diagrammatic figures and the floral photographs are of such high quality that it helps other researchers and readers as well. 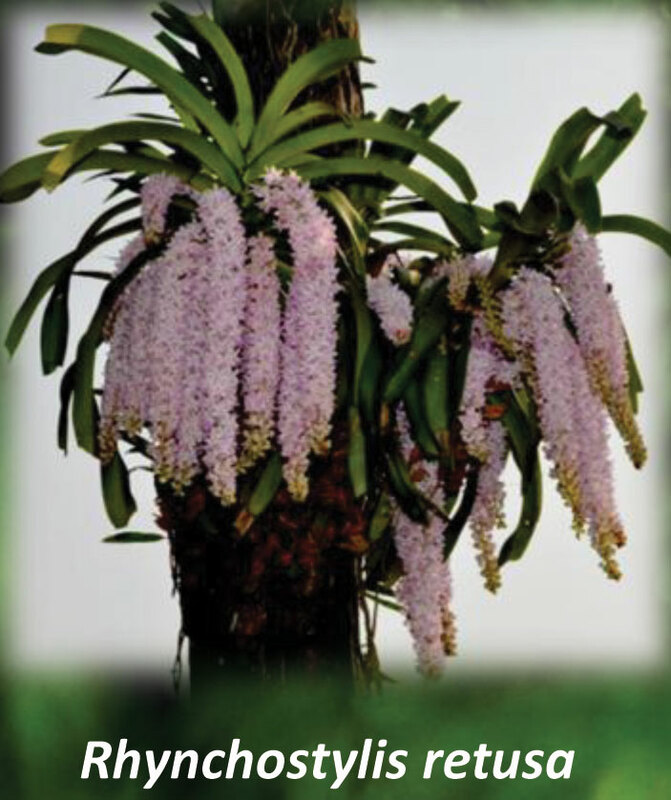 He had written over a dozen articles on Orchids in Assamese magazines. 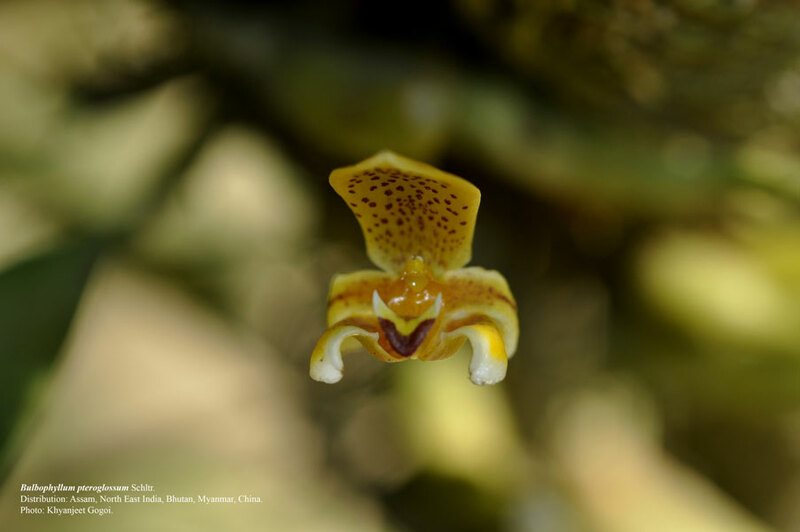 Presented over 50 nature and orchid diversity related slideshows to educational institutions ranging from kindergarten schools to colleges and nature education camps organized by NGOs. 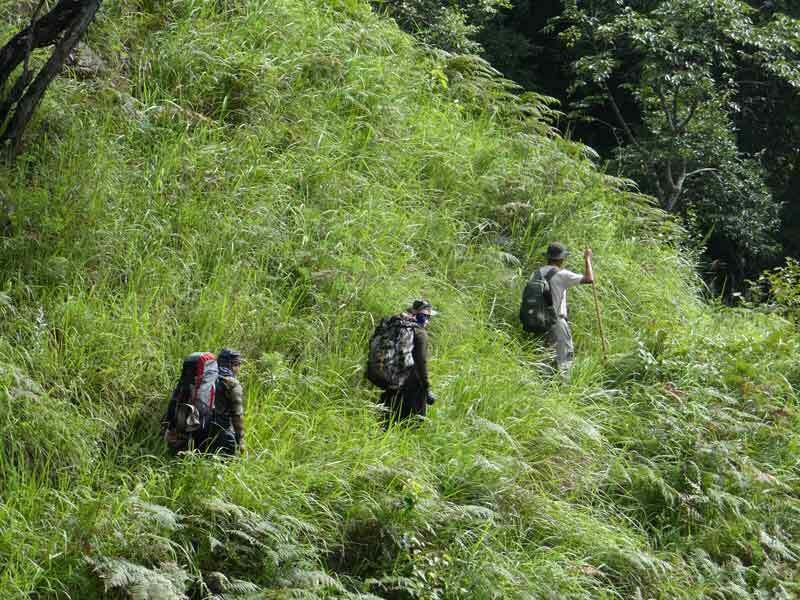 Many participants from these camps have since become professional ecologists, conservationists, nature educators, and activists working with forest tribal groups and their social and environmental issues. 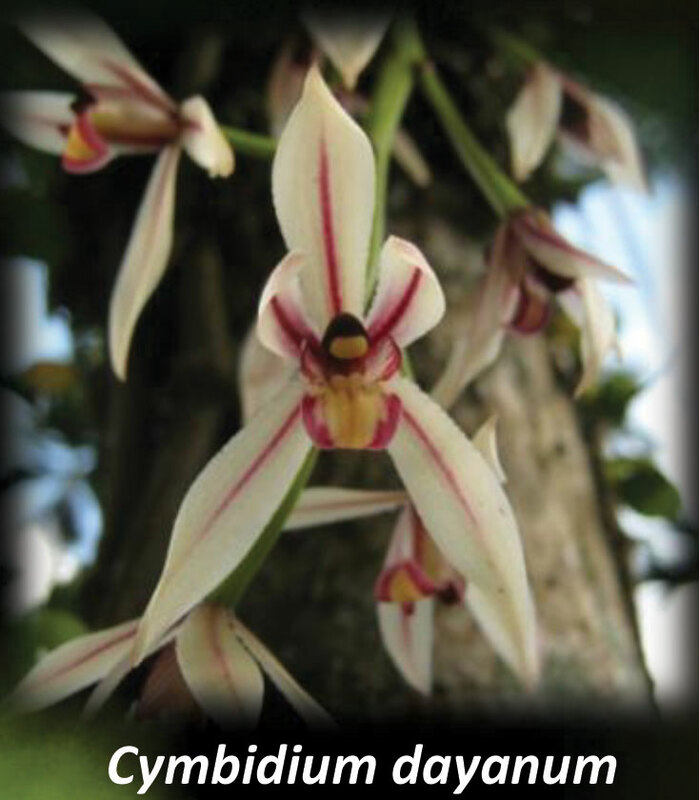 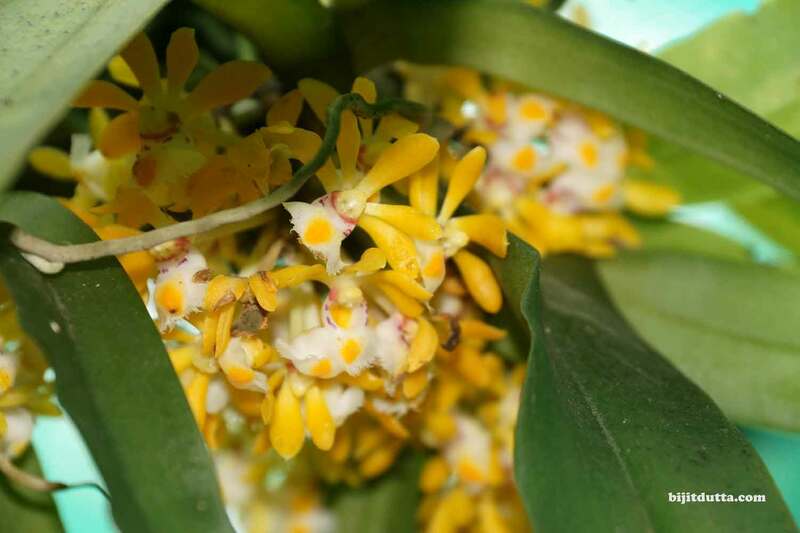 His Seminar presentations and Public Talks at the Training on Awareness on Biodiversity and its Conservation Strategies are highly praised by Orchidologist, ecologists, conservationists and educators. 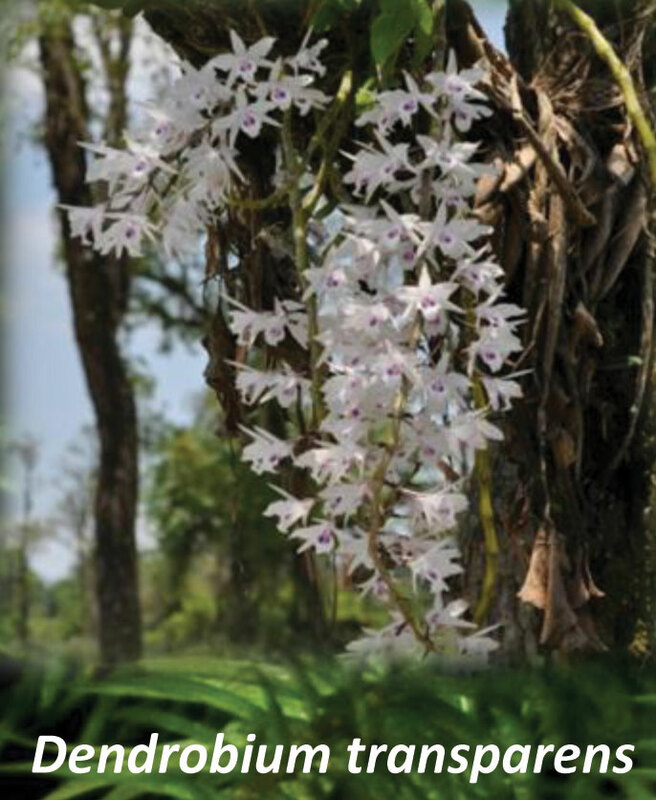 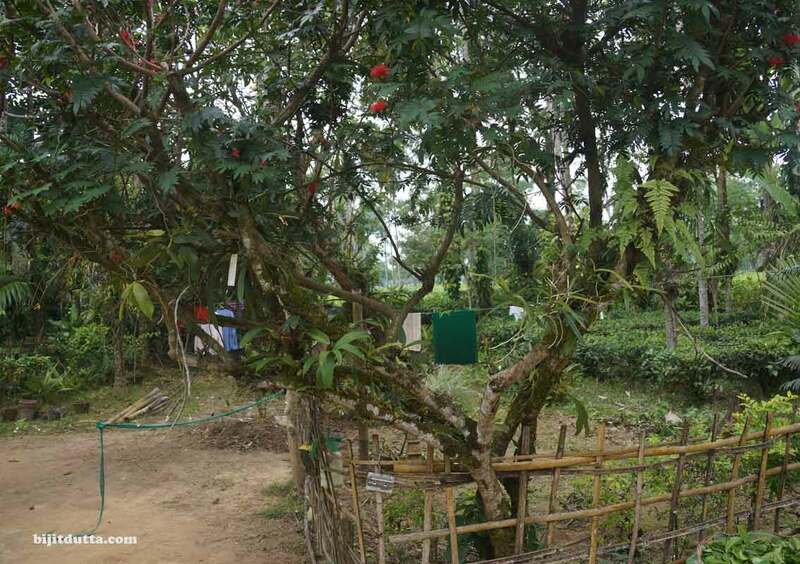 Recently he was associate with “Kaziranga National Orchid & Biodiversity Park”, first orchid garden of Assam. 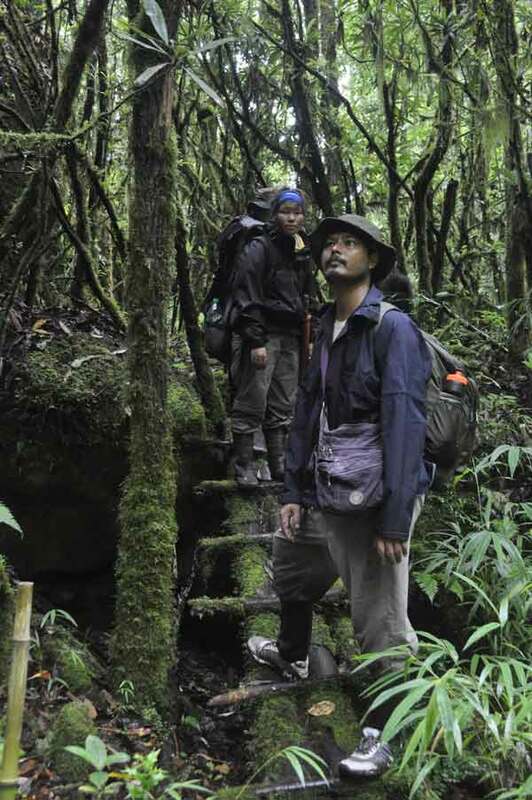 His expertise and experience gave shape to this unique park from very beginning. 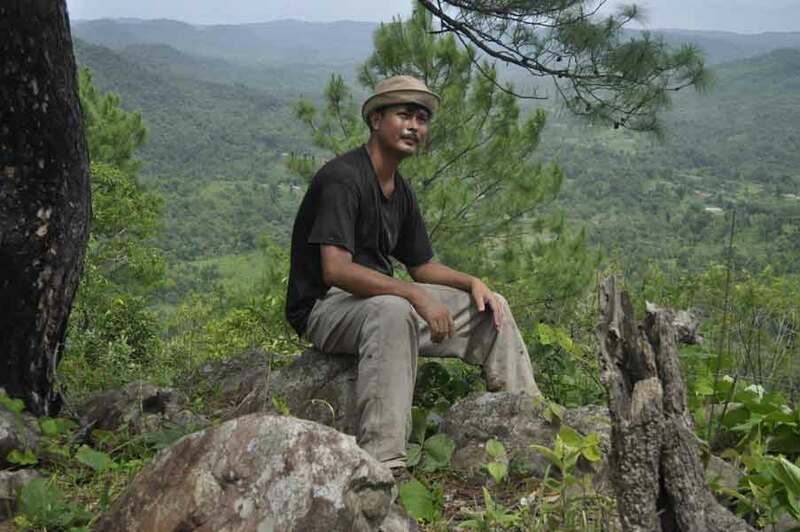 Recently I happen to meet Khyanjeet ji in Ziro and I found he is man of complete man of Orchid and looking forward to meet him and learn many more.